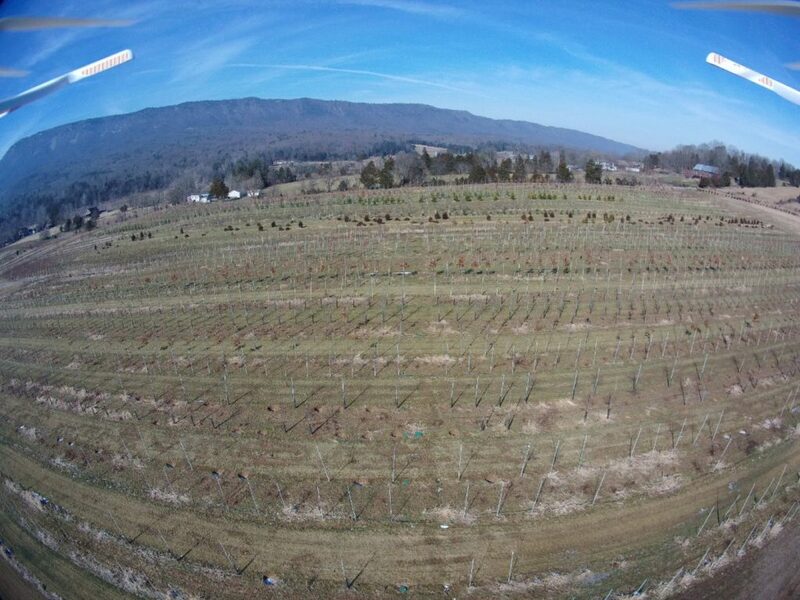 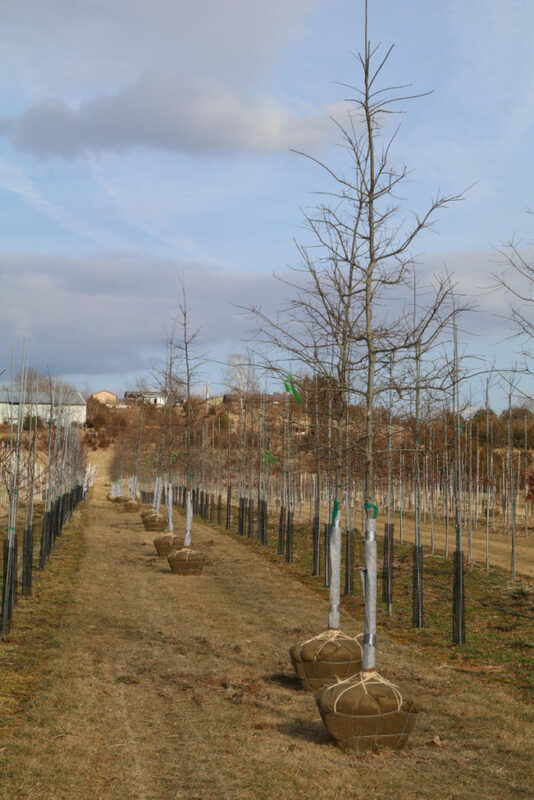 Some photos of the nursery coming to life in early April after a long, cold winter!. 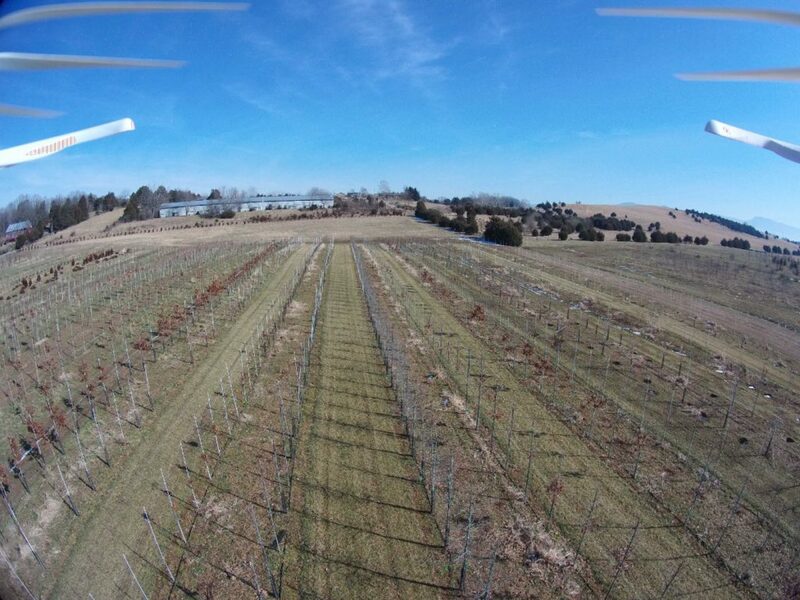 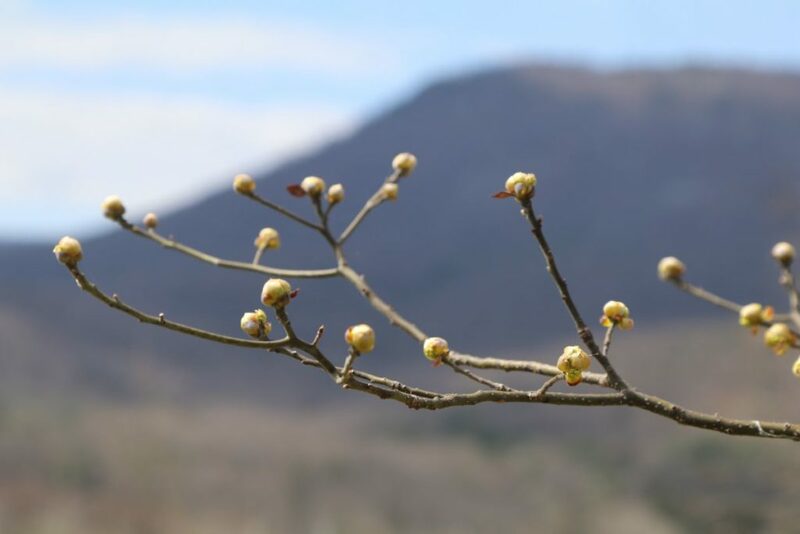 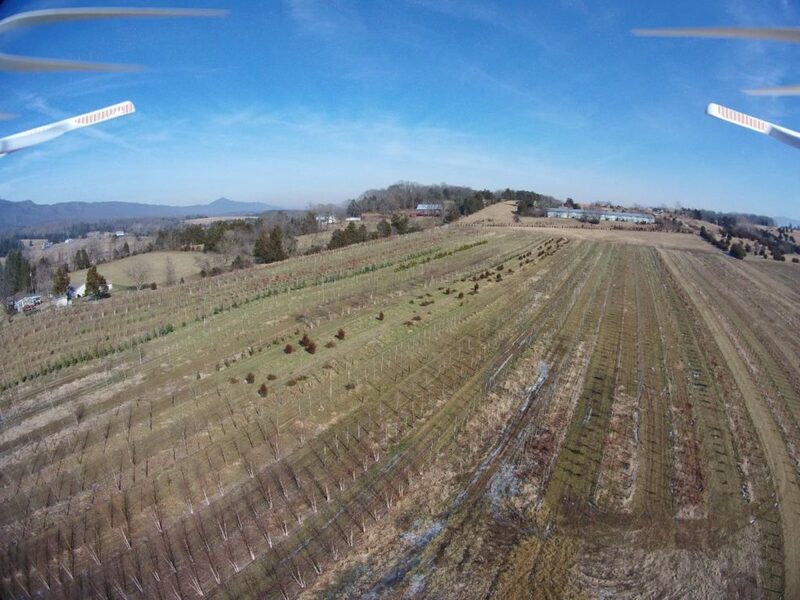 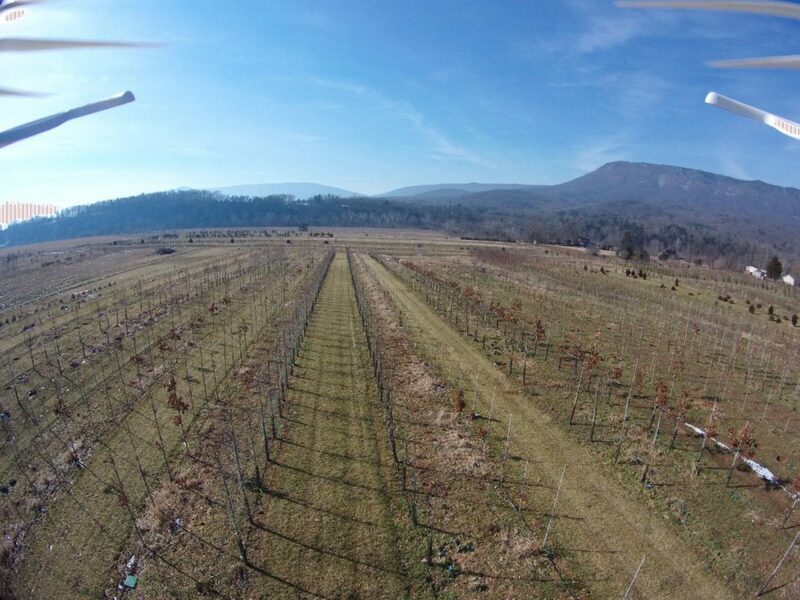 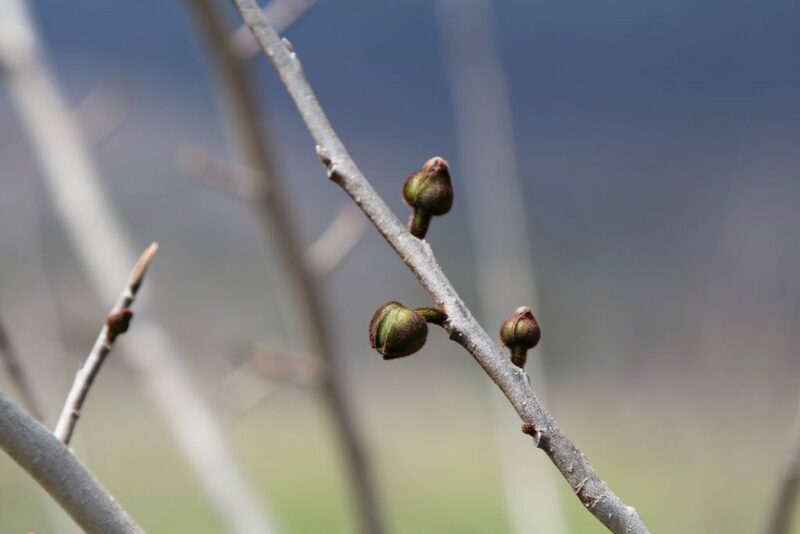 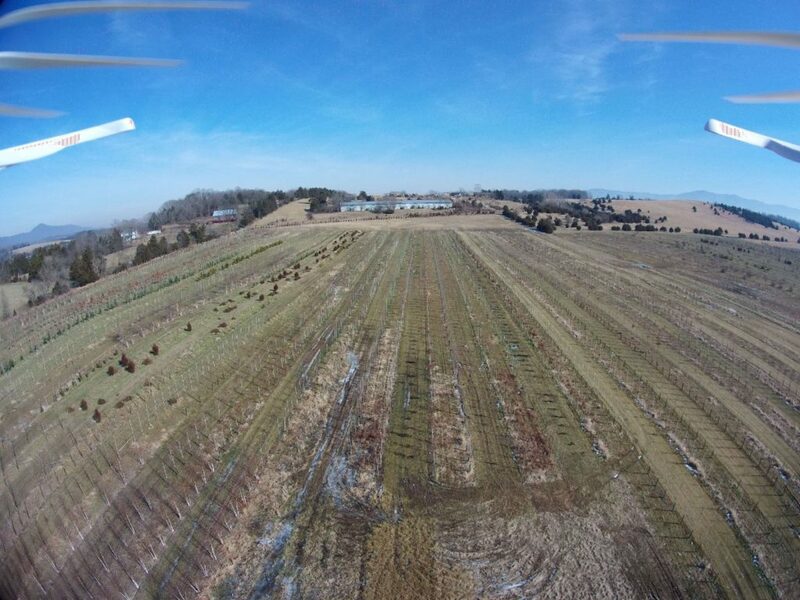 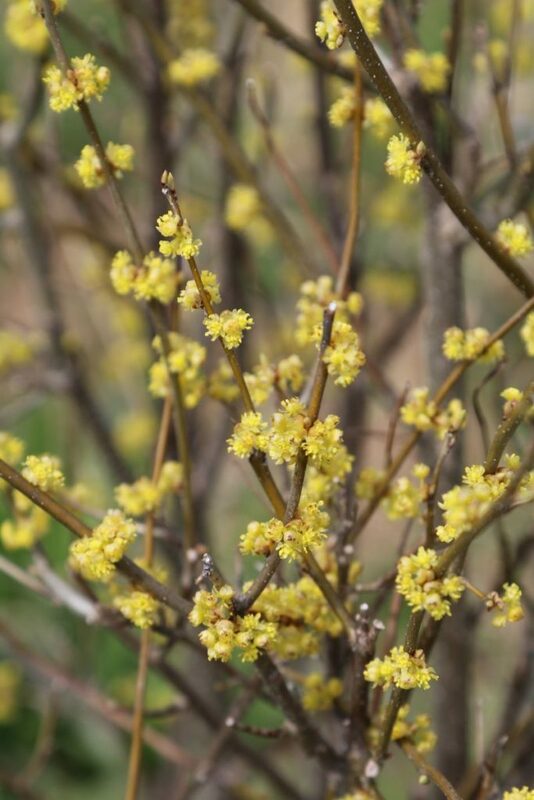 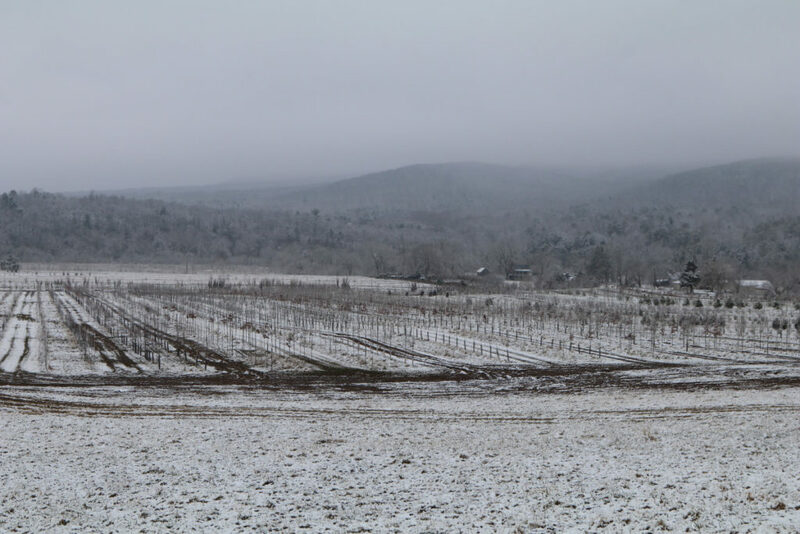 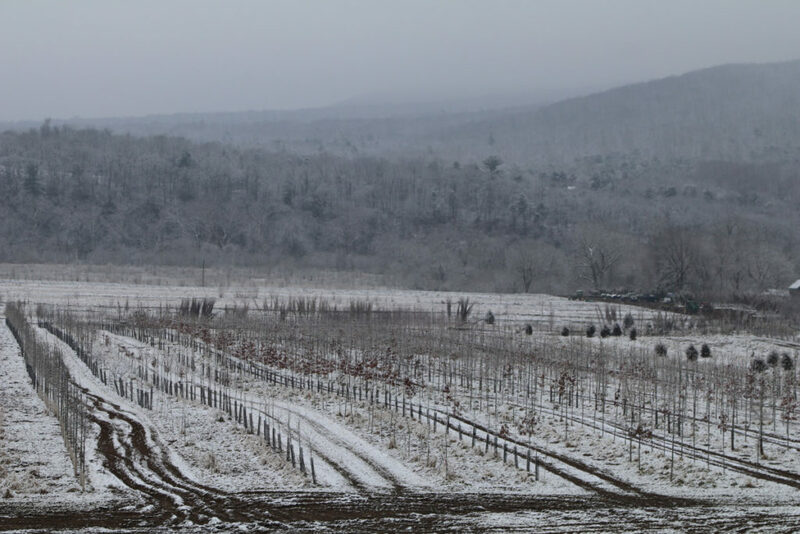 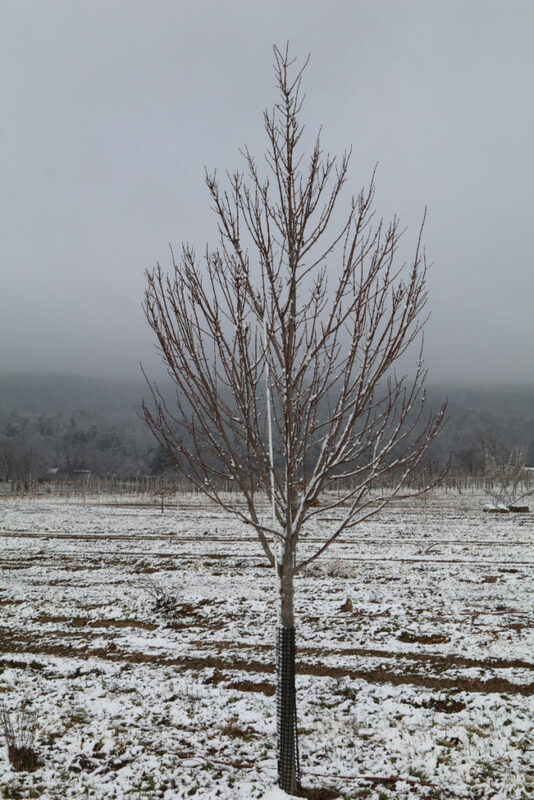 More late-winter 2019 photos from around the farm! 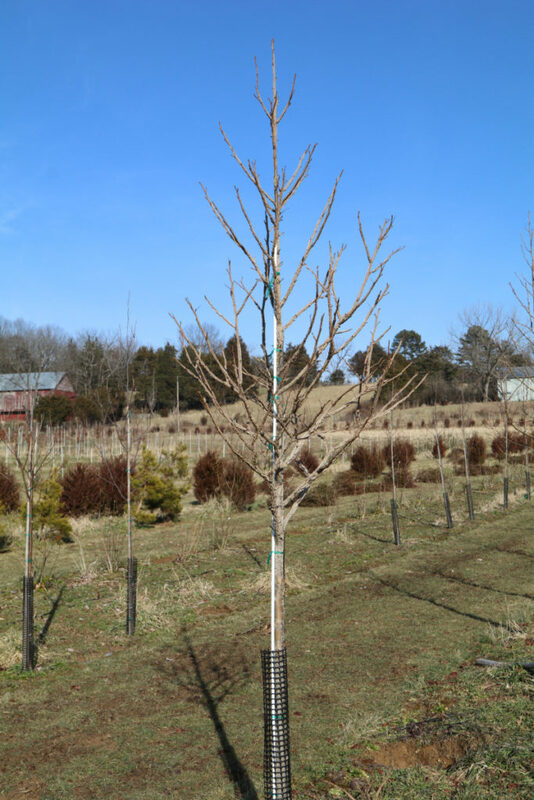 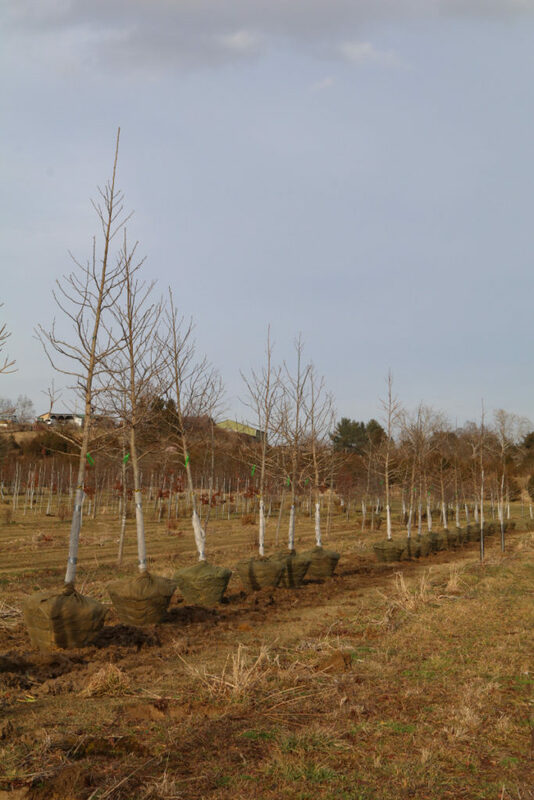 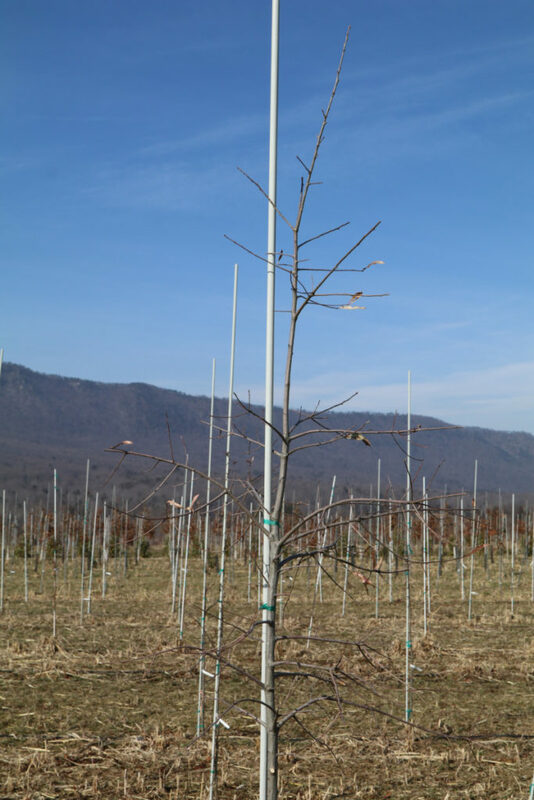 Quercus falcata is a little-known species in the mid-Atlantic that has gained in popularity in recent years as a great landscape tree for larger spaces. 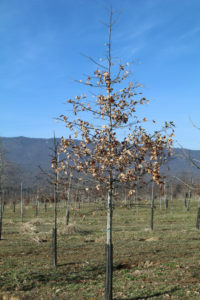 Commonly known as southern red oak or Spanish oak (Spanish not because of being native to Spain, but rather because it is a common woodland tree in areas of the country originally ruled by Spain) is native to a broad swath of the southeast, from central New Jersey westward to southern Illinois and Missouri and southward through Oklahoma, Texas and the Gulf Coast as far as central Florida. 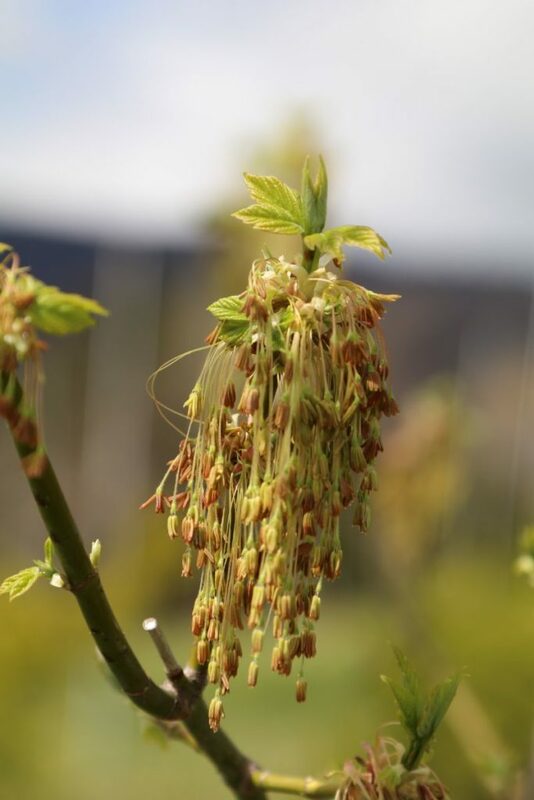 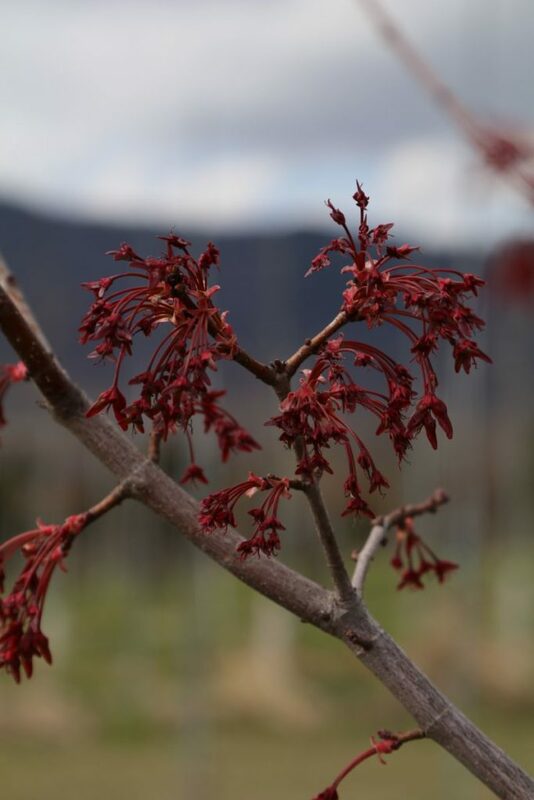 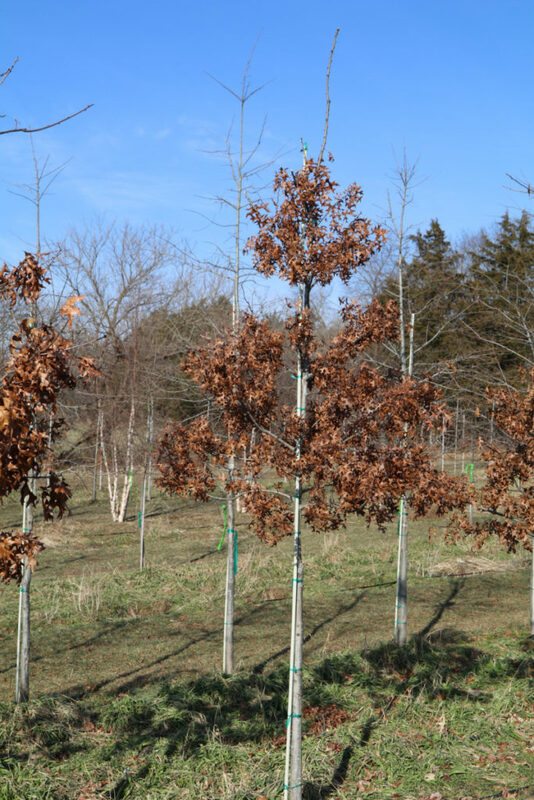 Compared with the more-familiar northern red oak (Quercus rubra), Q. falcata has distinctive shiny green leaves with 3-5 deep, sickle-like, bristle-tipped lobes that give an appearance (according to some) not unlike that of a guitar. 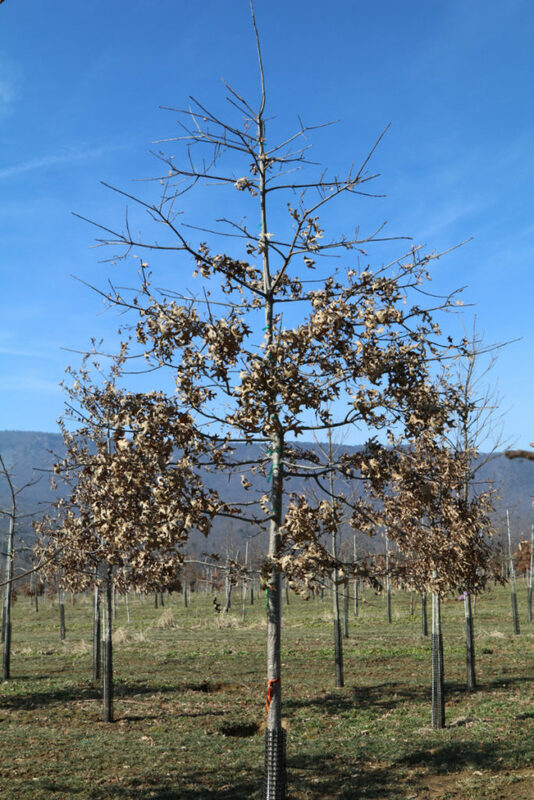 The leaves are often somewhat droopy and turn reddish-brown in the autumn, then slowly fall over the winter. 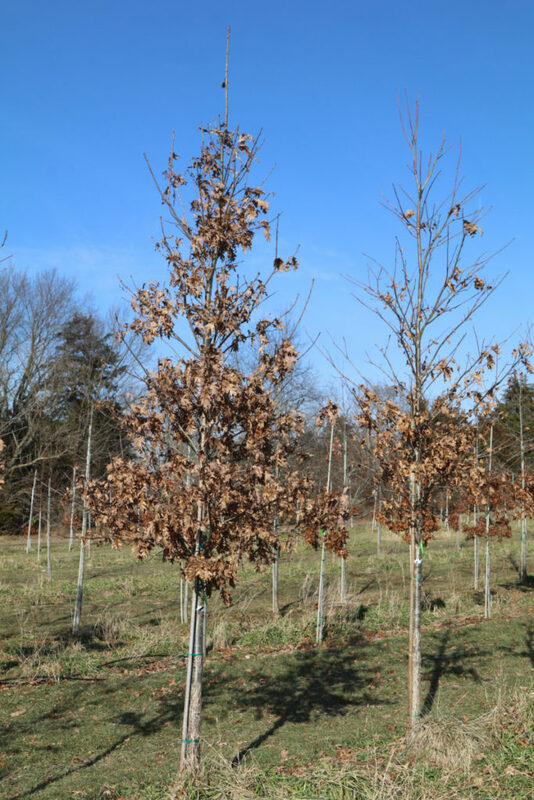 In its native range, the southern red oak prefers well-drained sites and is often found in dry, poor soils where it out-competes many other native hardwoods. 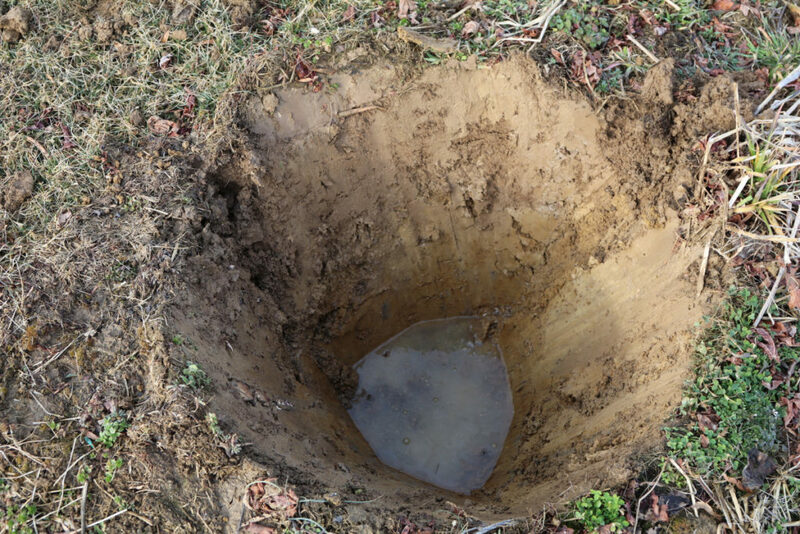 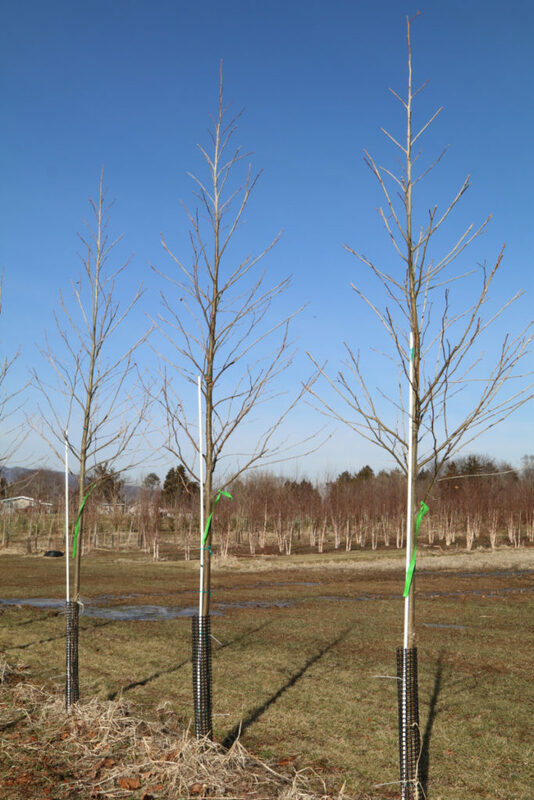 These characteristics make it an ideal specimen for urban and suburban sites where soils have been disturbed and watering may be irregular; once established it is quite tolerant of neglect. 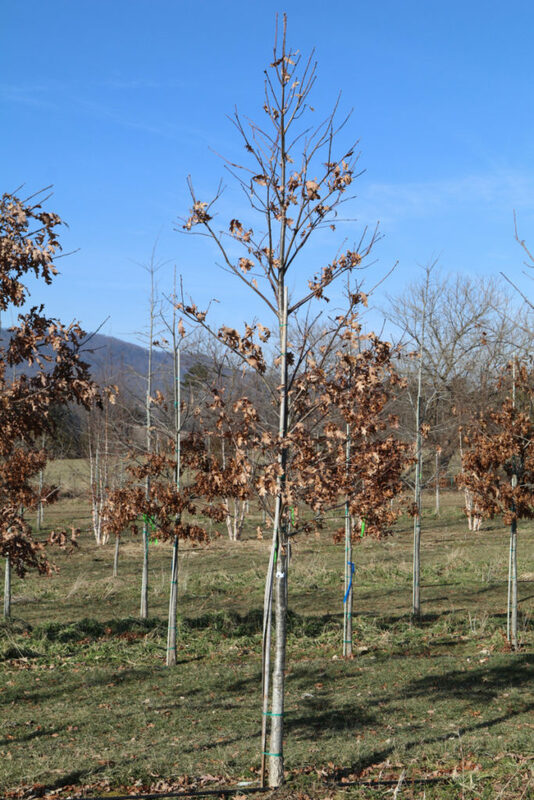 Quercus falcata showing autumn color. 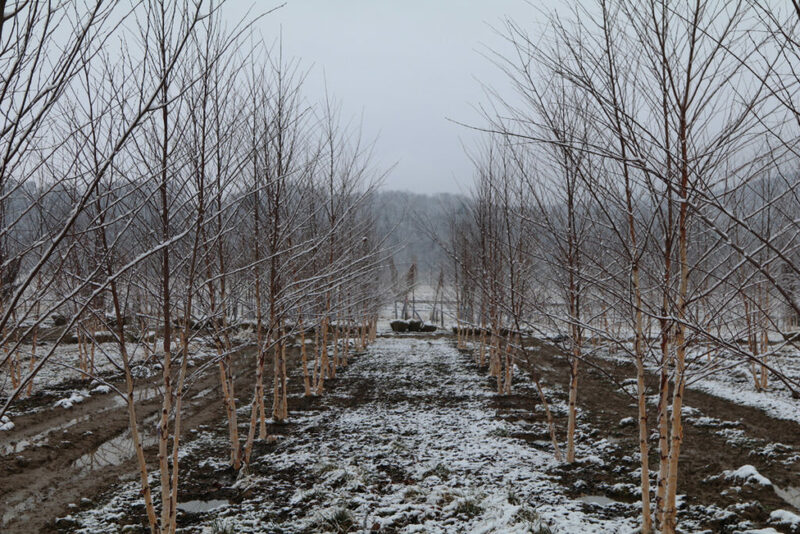 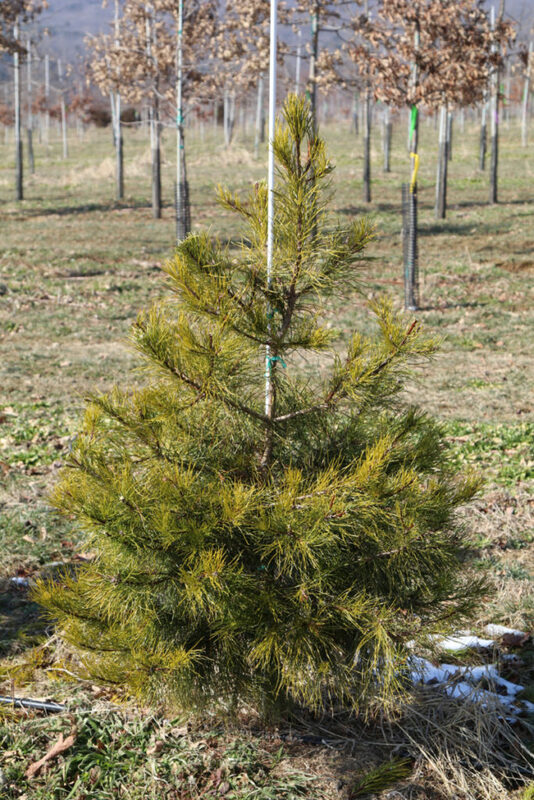 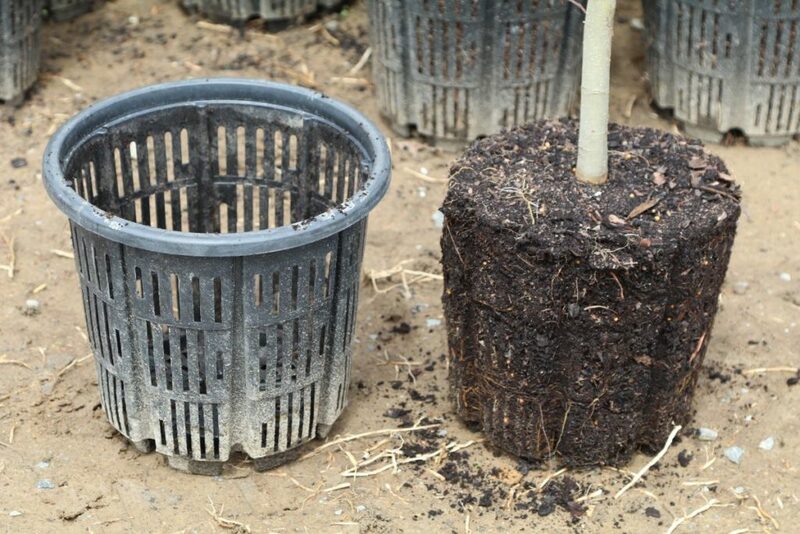 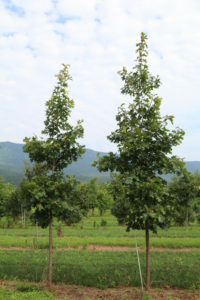 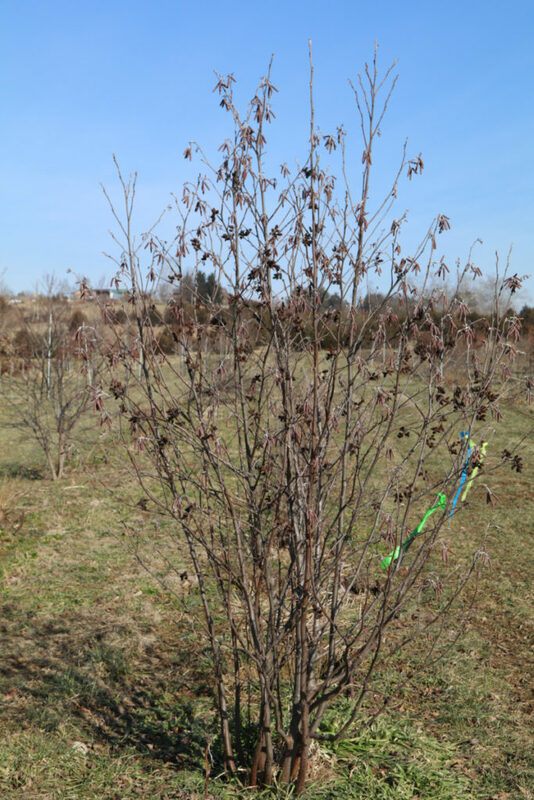 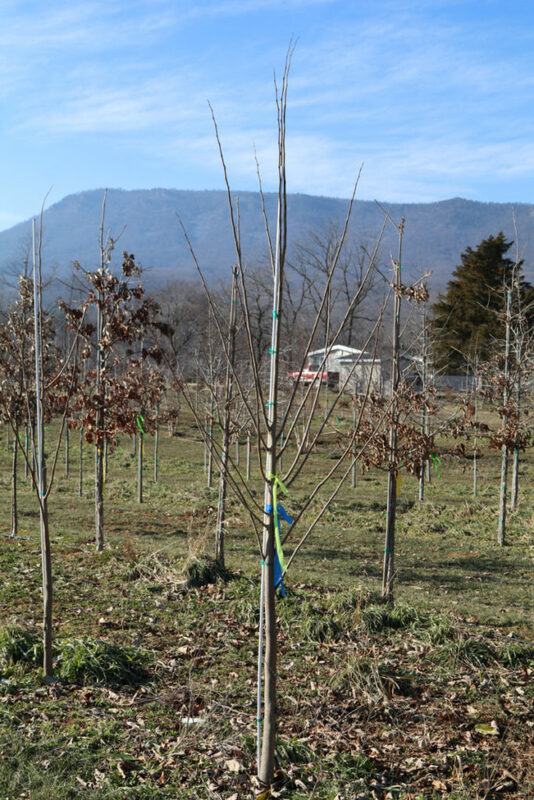 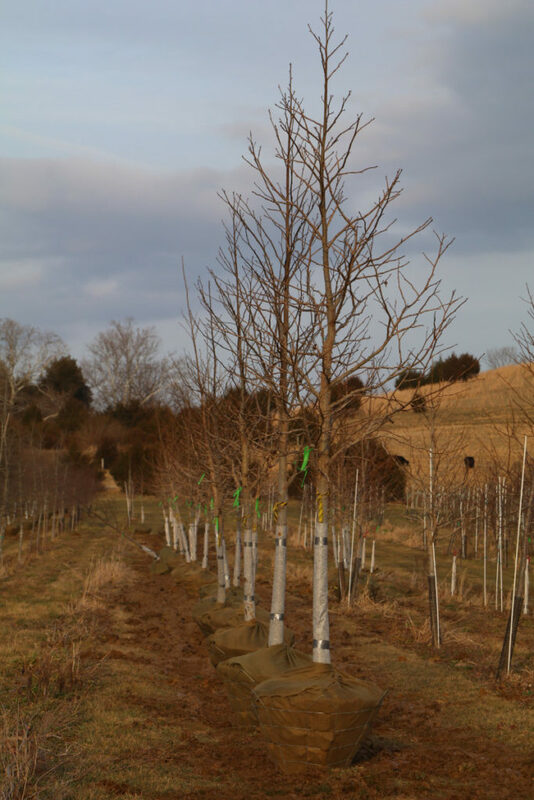 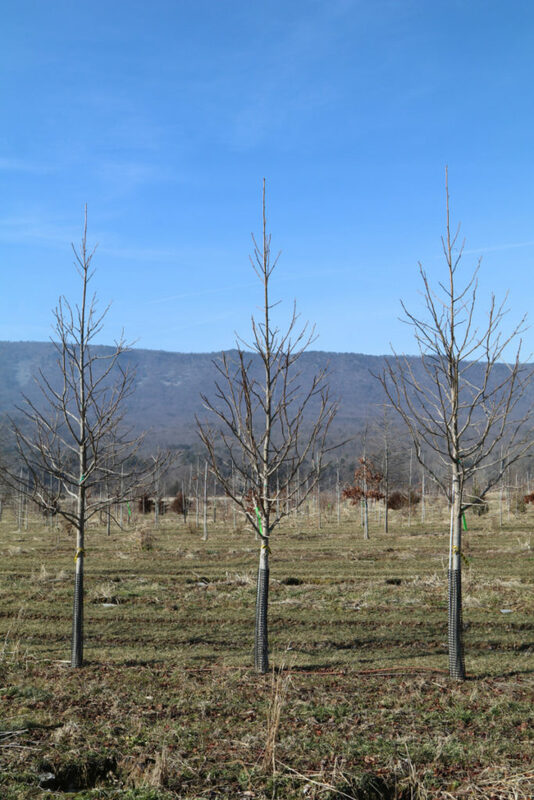 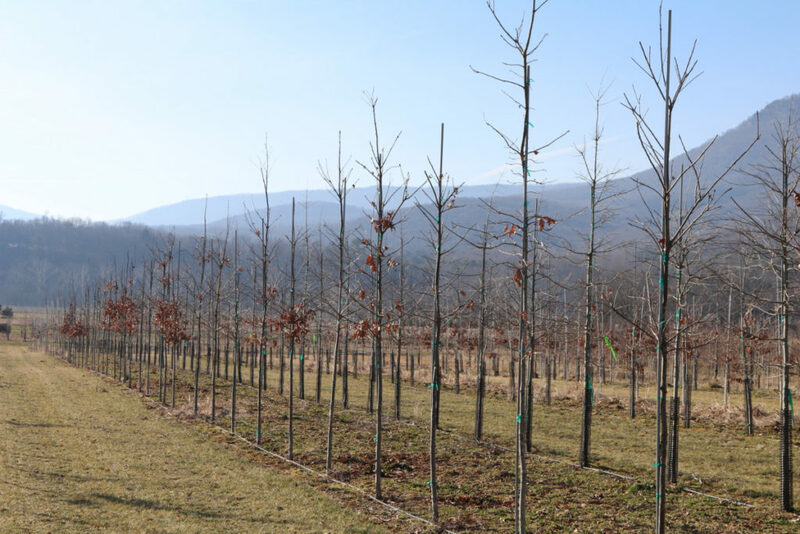 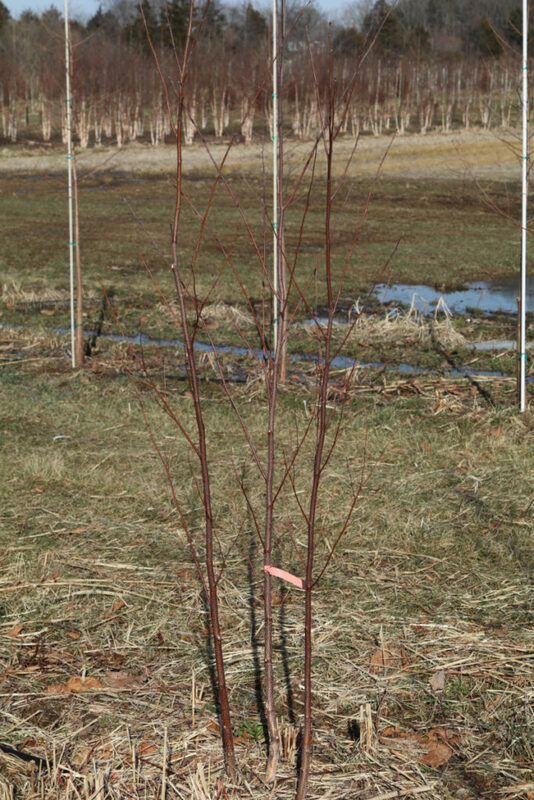 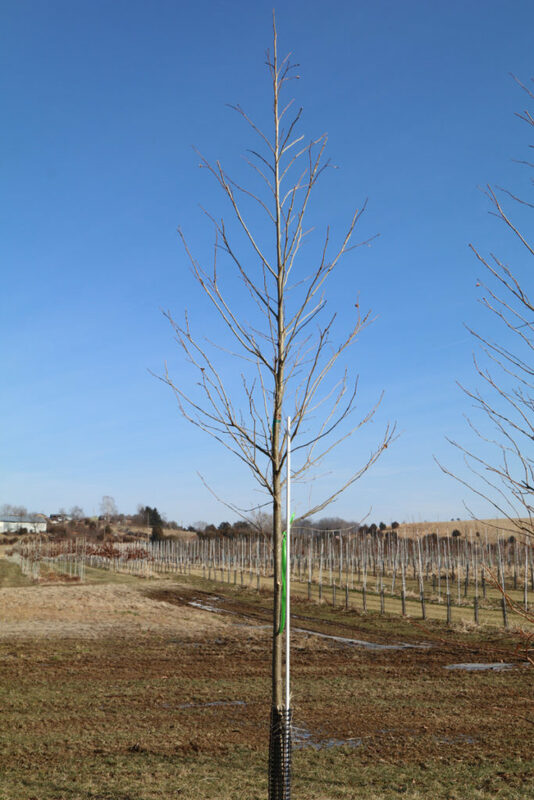 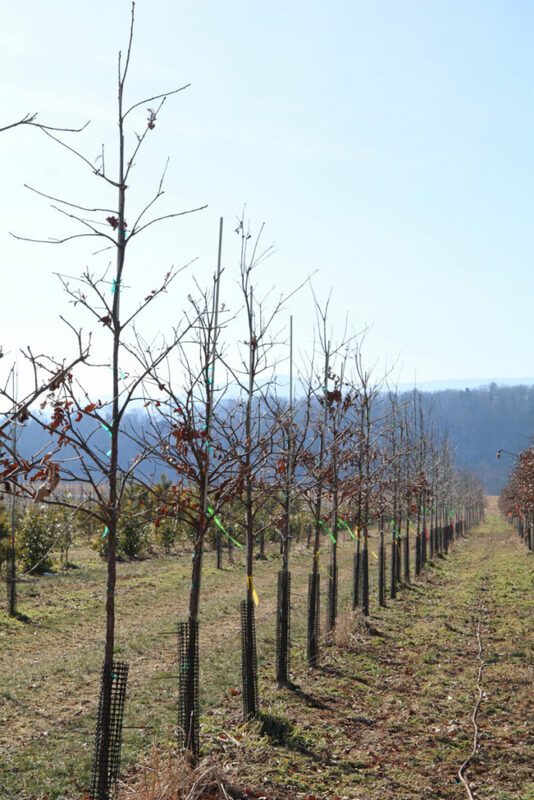 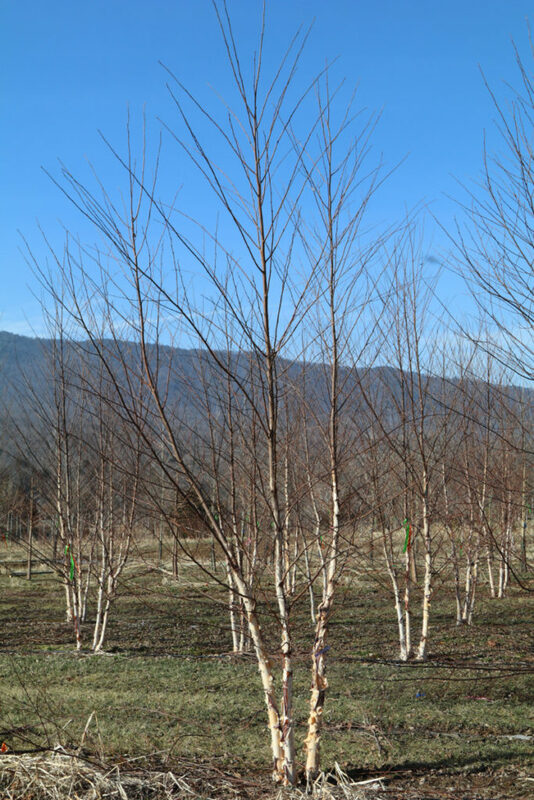 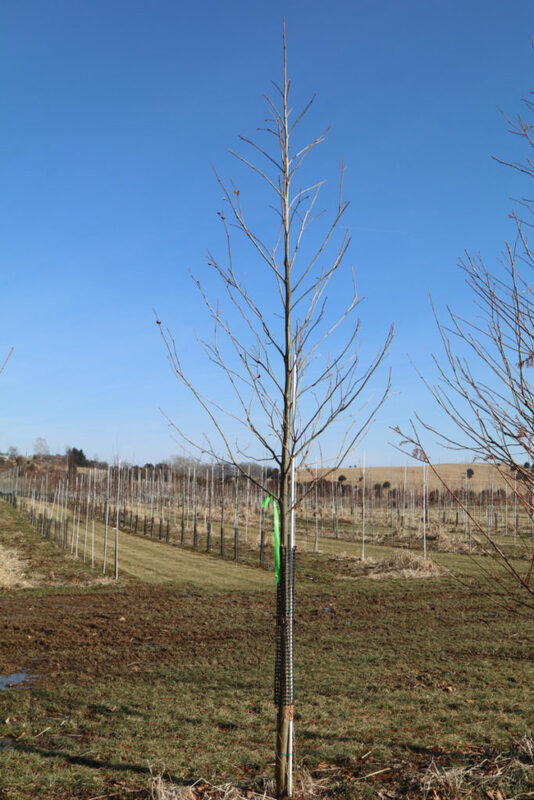 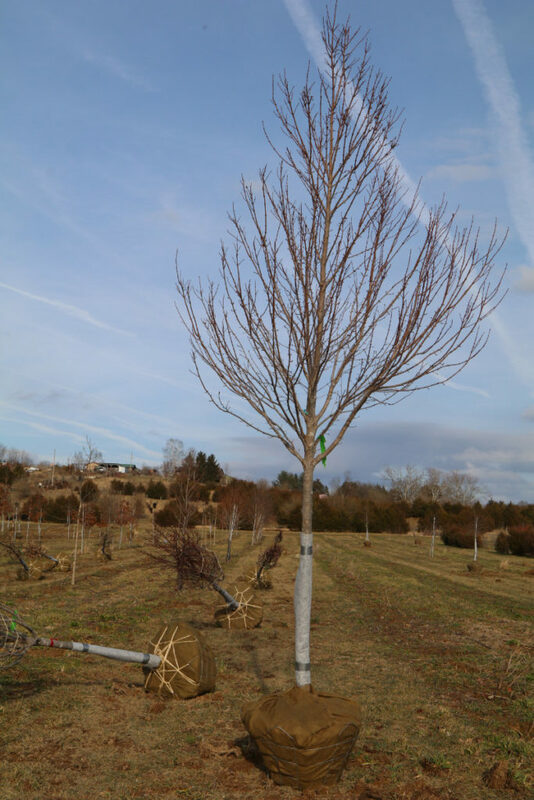 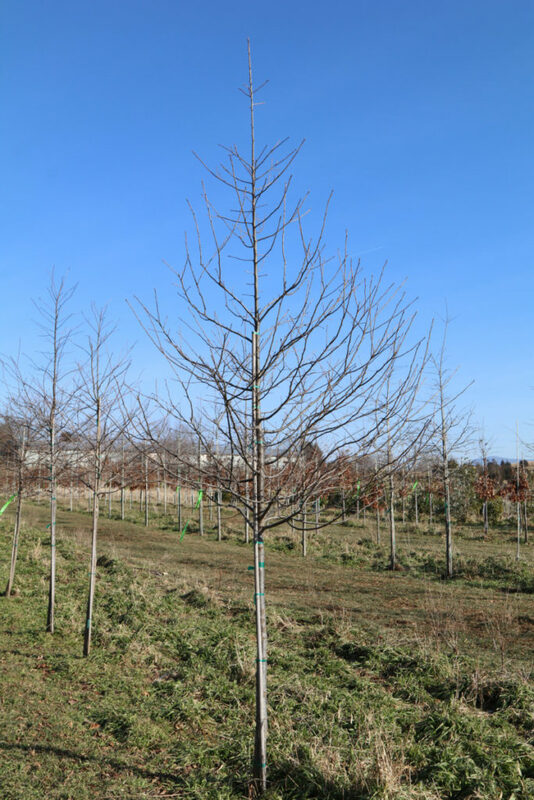 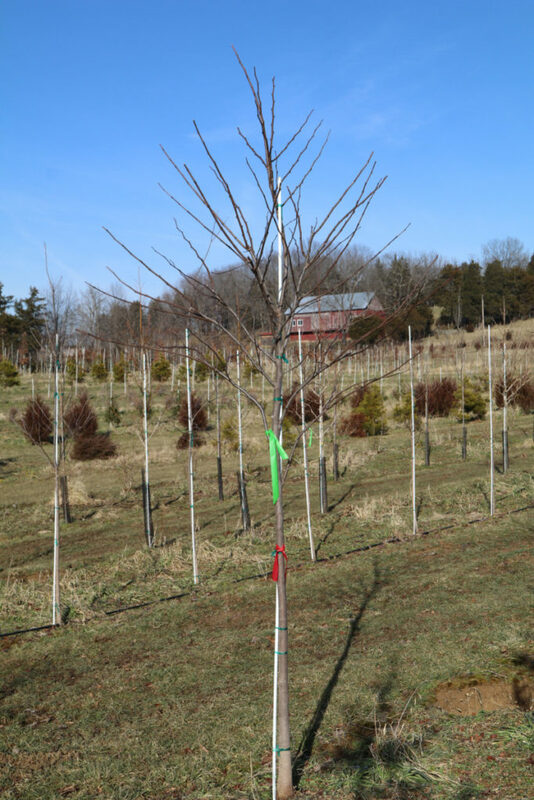 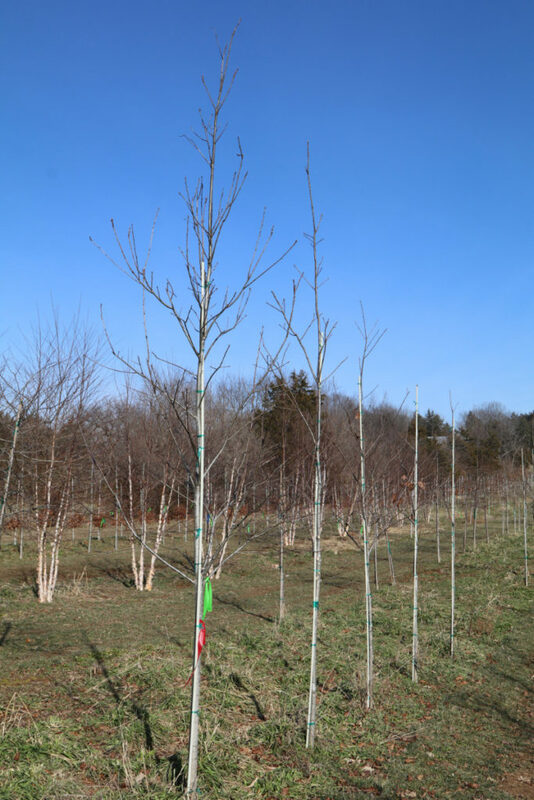 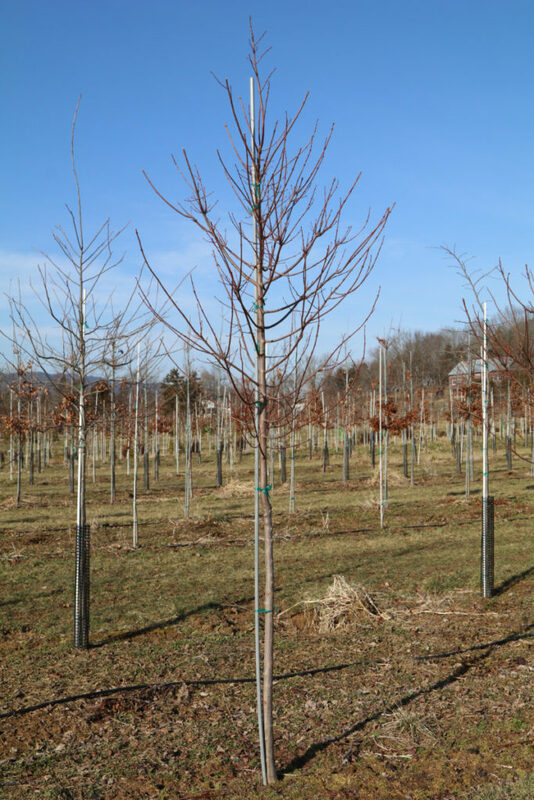 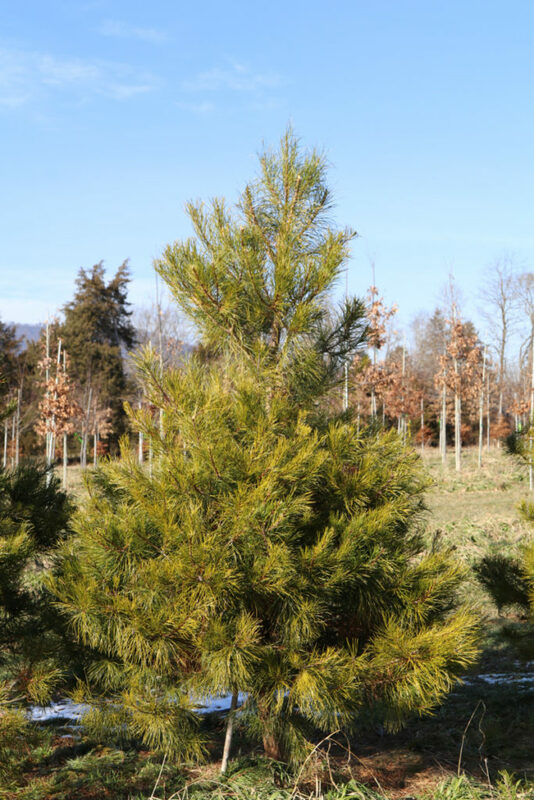 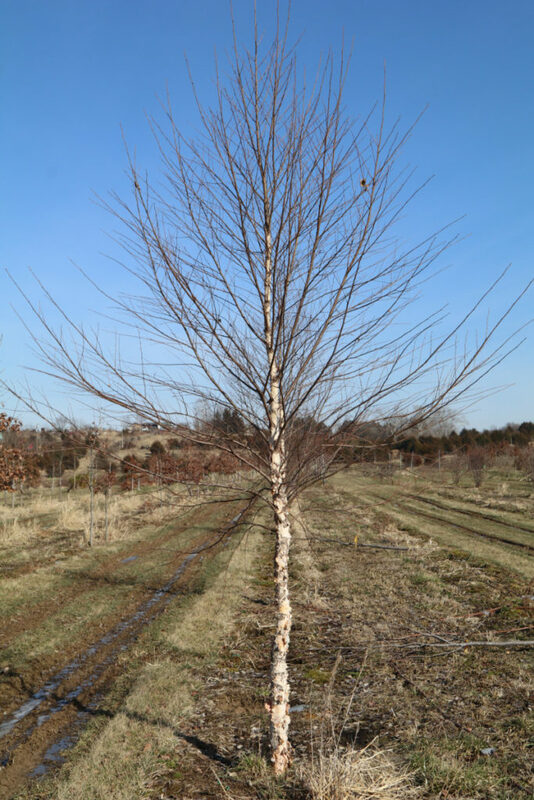 A medium grower, with room it develops an open, irregularly oval crown with the coarse texture typical of red oaks and typically matures at a height of 60-80 feet with a spread two-thirds the height in the landscape. 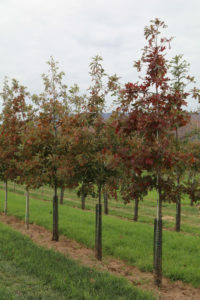 As a shade or specimen tree; southern red oaks typically do not display surface roots and feature well-spaced upright branches, thus allowing activity under the canopy. 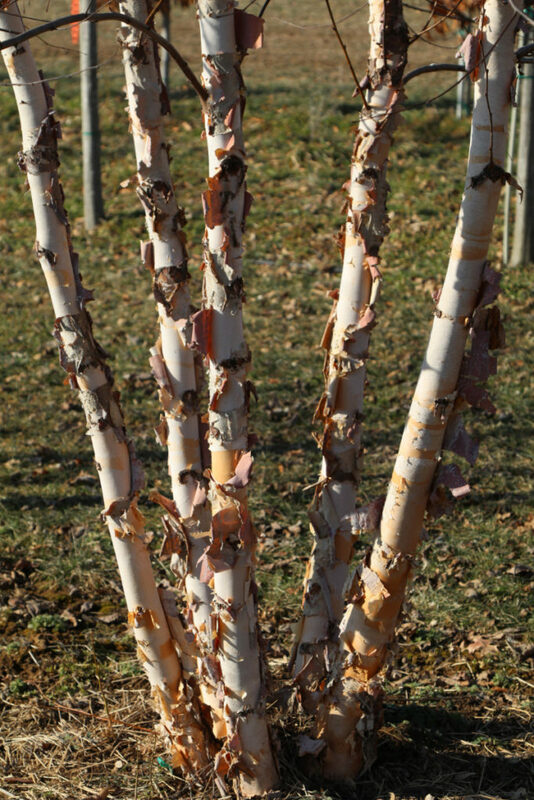 The thick, furrowed bark is marked with shallow ridges and brownish-gray to black color adds interest throughout the year. 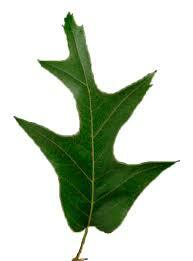 In southern forests, this species can grow quite large. 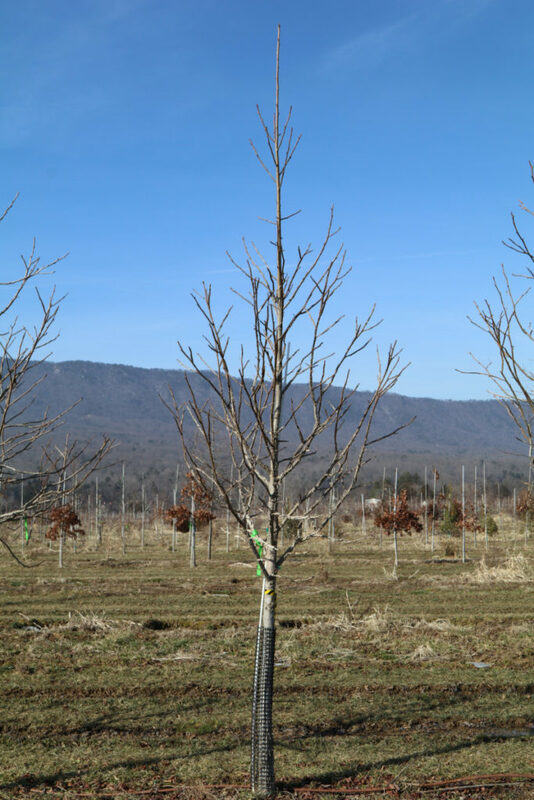 The US champion in Upton County, Georgia has a height of 137 feet and a spread of 118 feet with a circumference of 28½ feet. 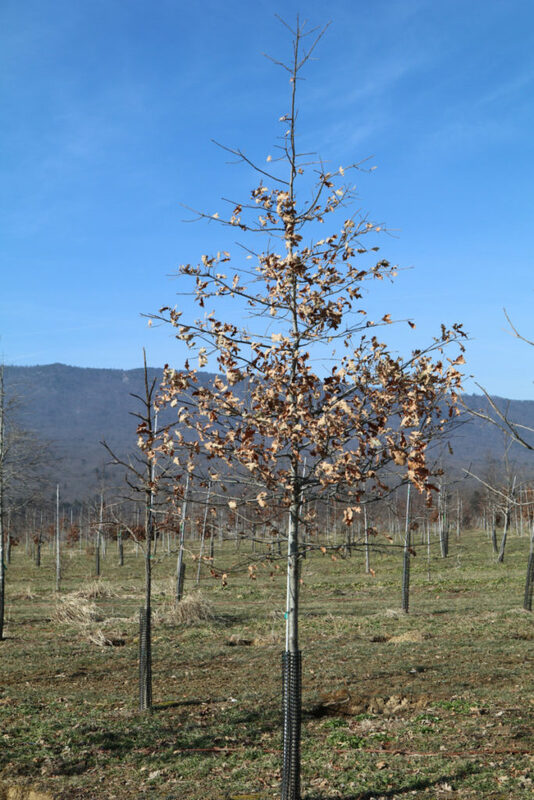 Historically, the heavy, strong wood of southern red oak was used for fence posts, heating fuel, and general construction. 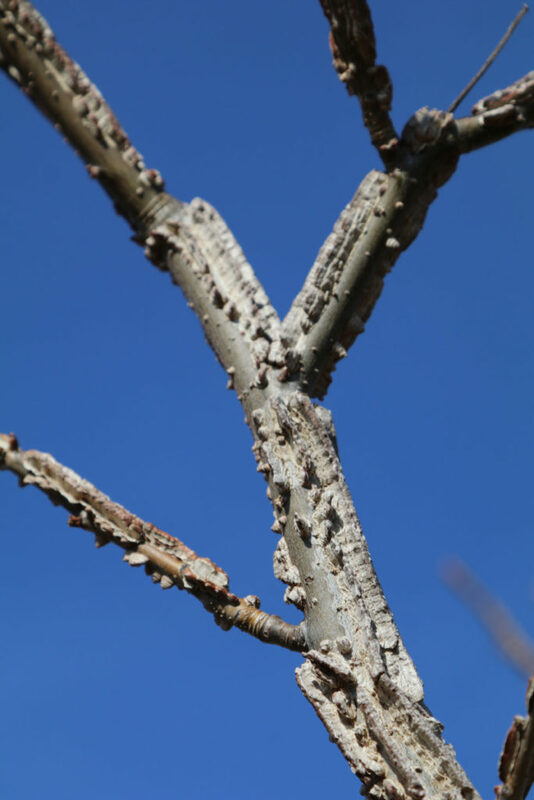 The coarse grain and open pore structure makes the dried timber useful for fine carpentry as it takes both stain and glue well. 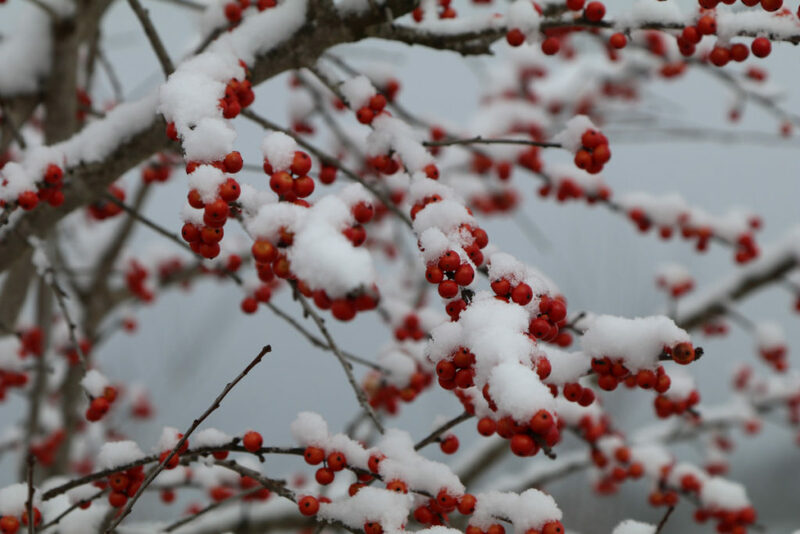 Native Americans used both the acorns and bark for medicinal and occasionally food uses, while the acorns are an important food source for turkey, squirrel, rabbit, white-tail deer and black bears. 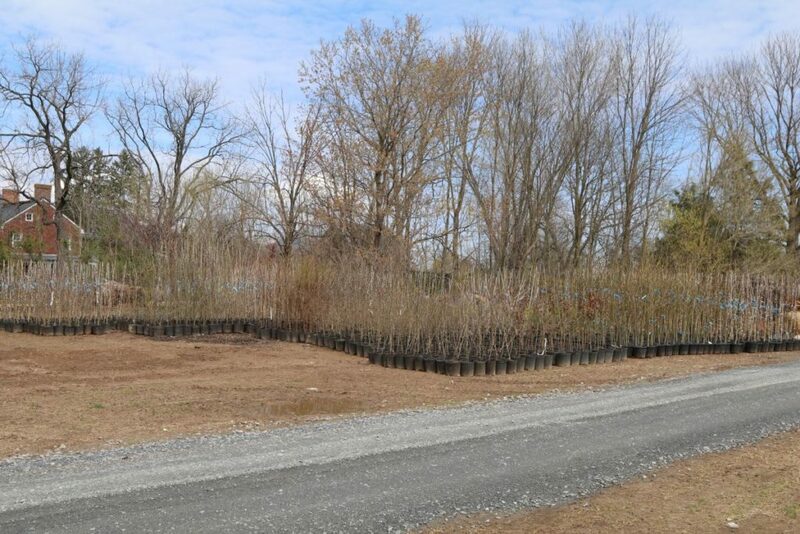 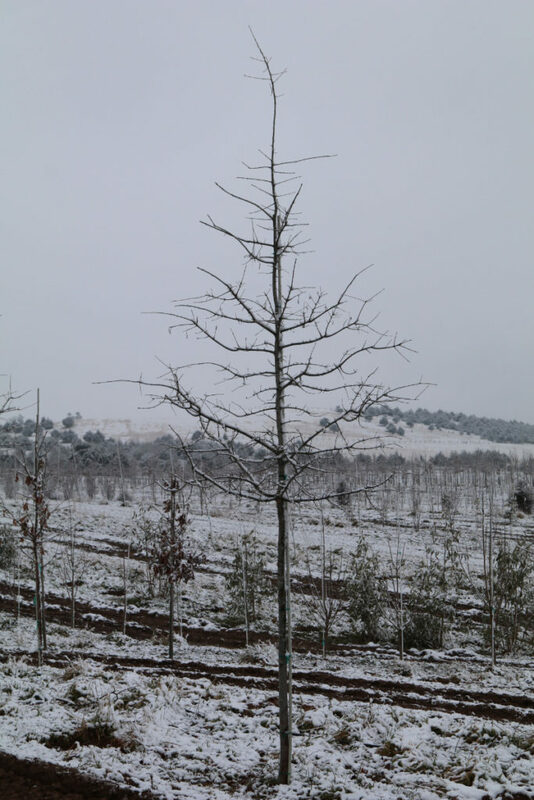 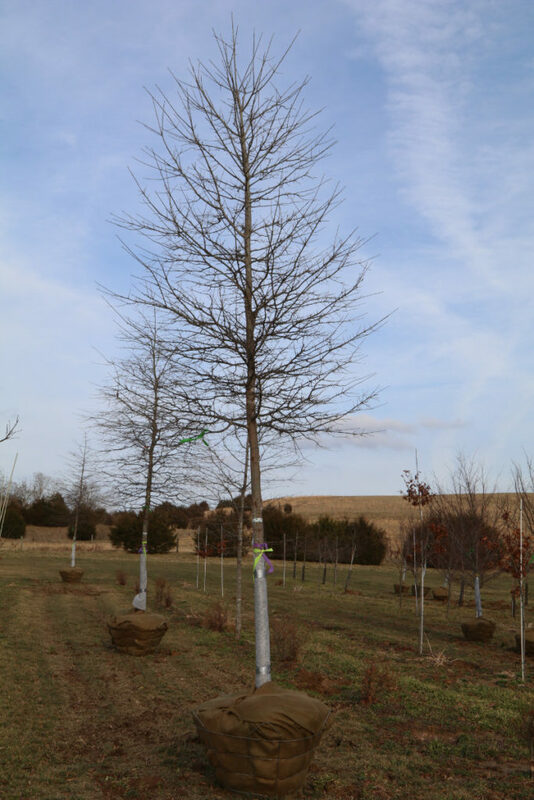 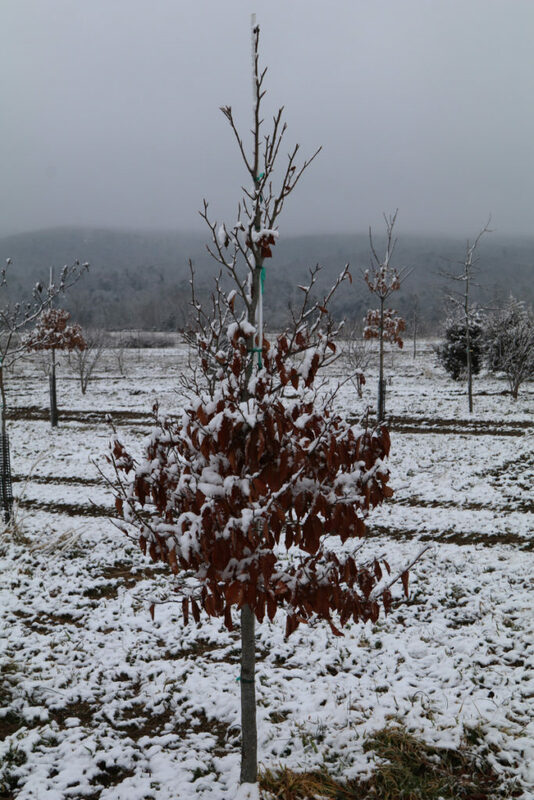 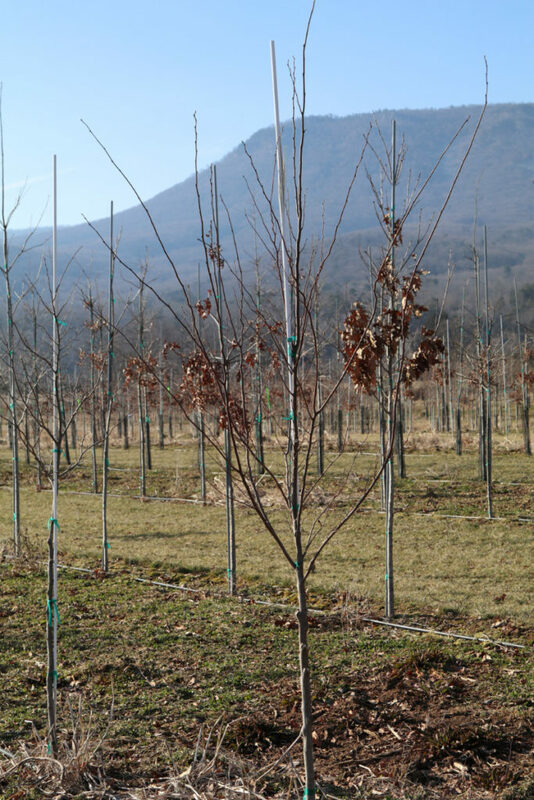 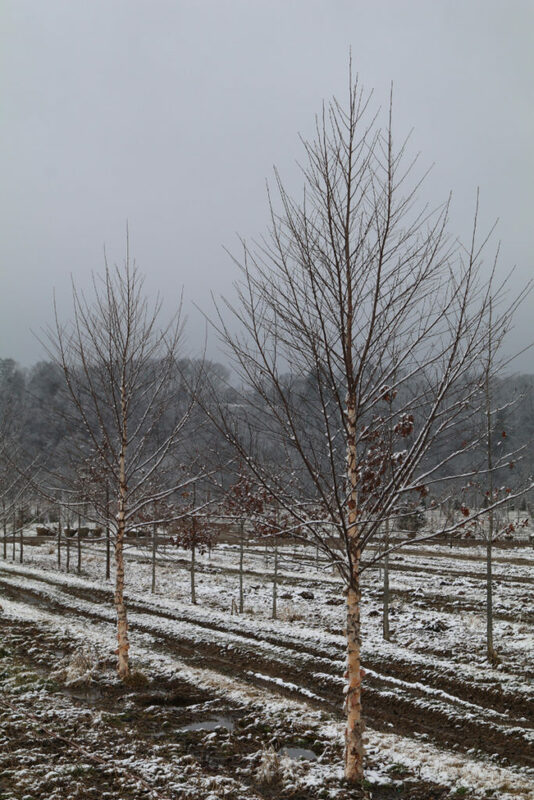 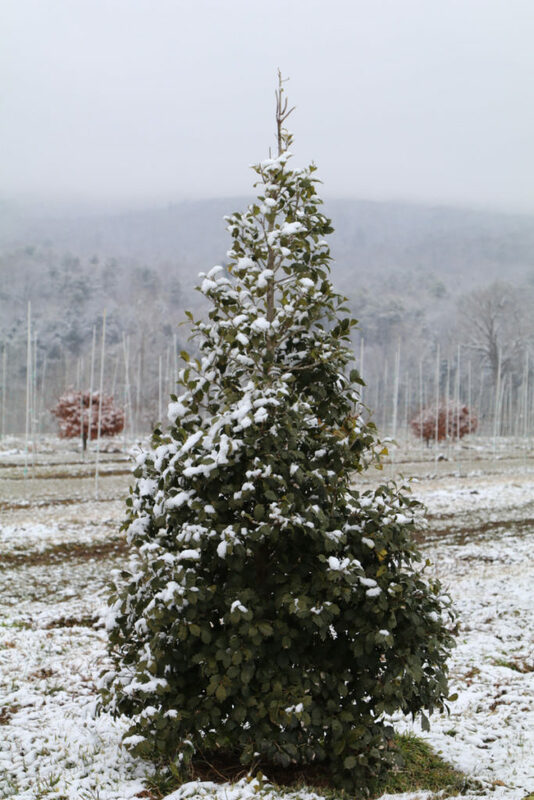 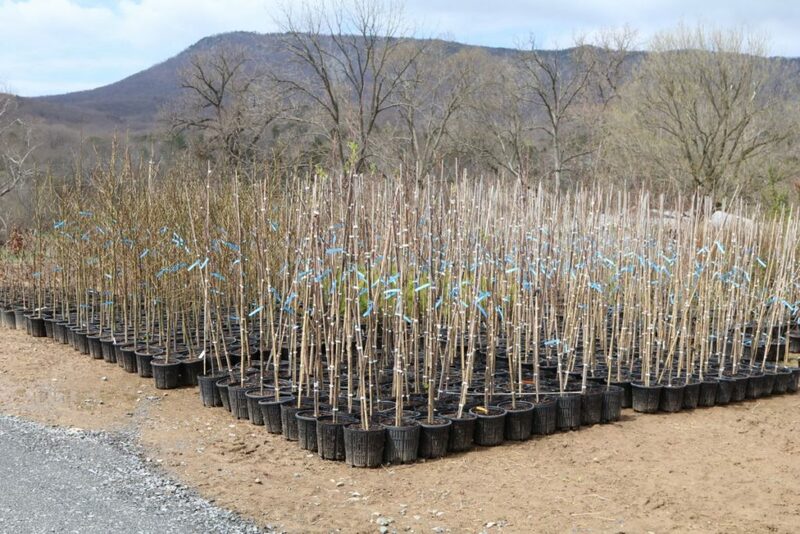 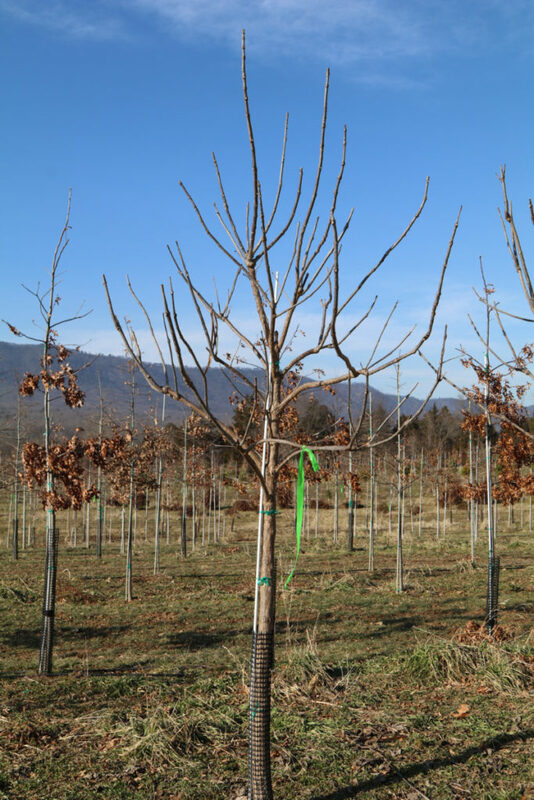 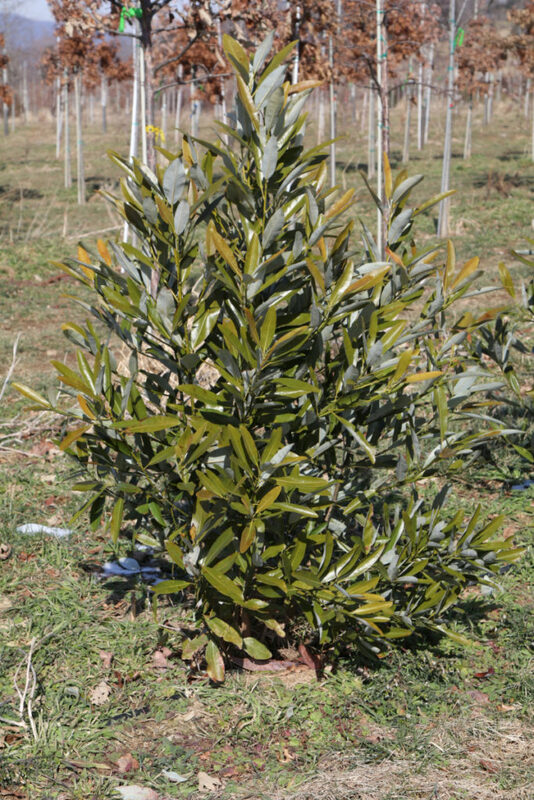 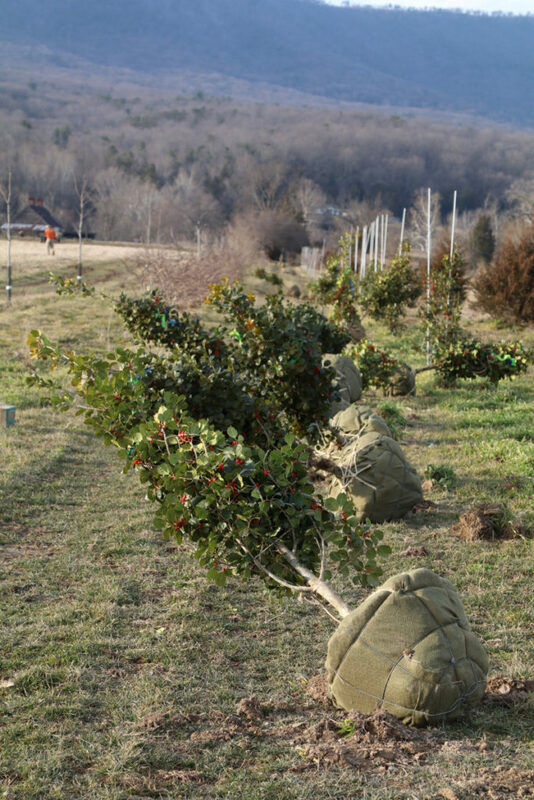 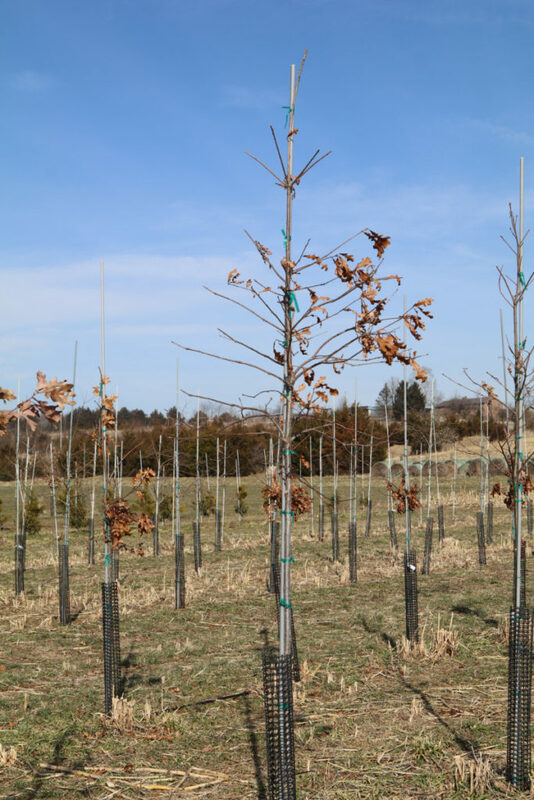 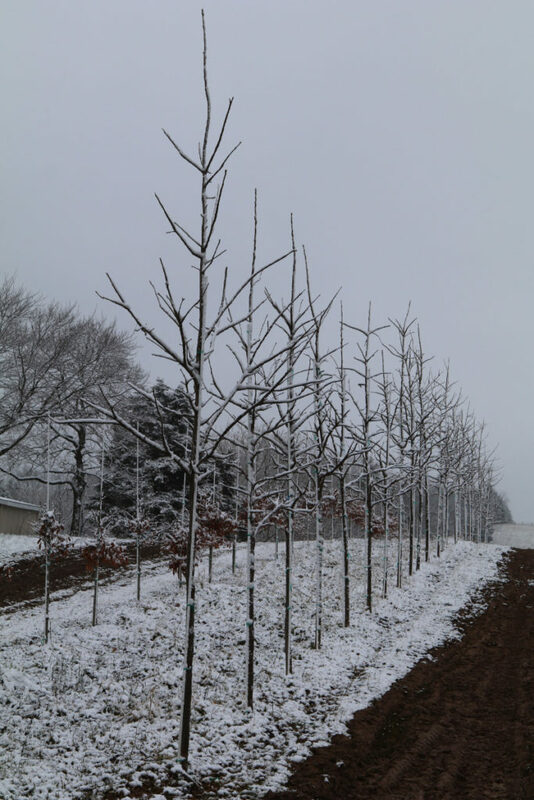 White House Natives supplies Quercus falcata in a range of sizes including 2”, 2½” and 3” caliper. 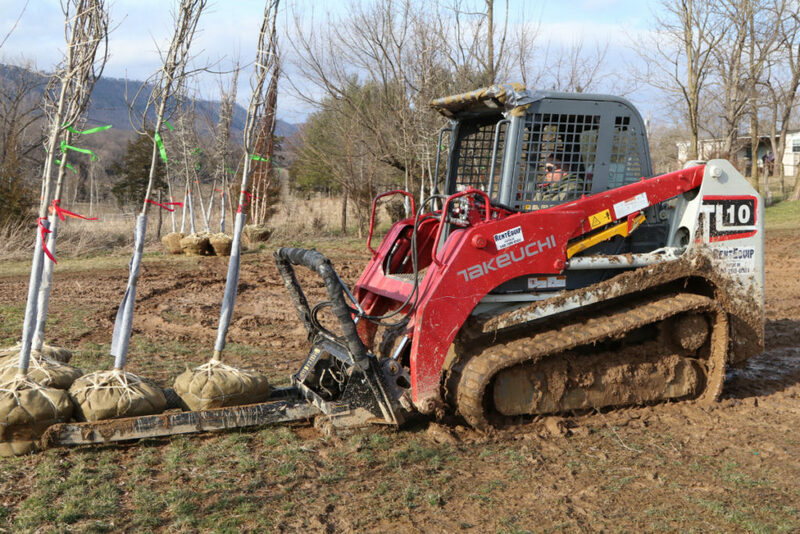 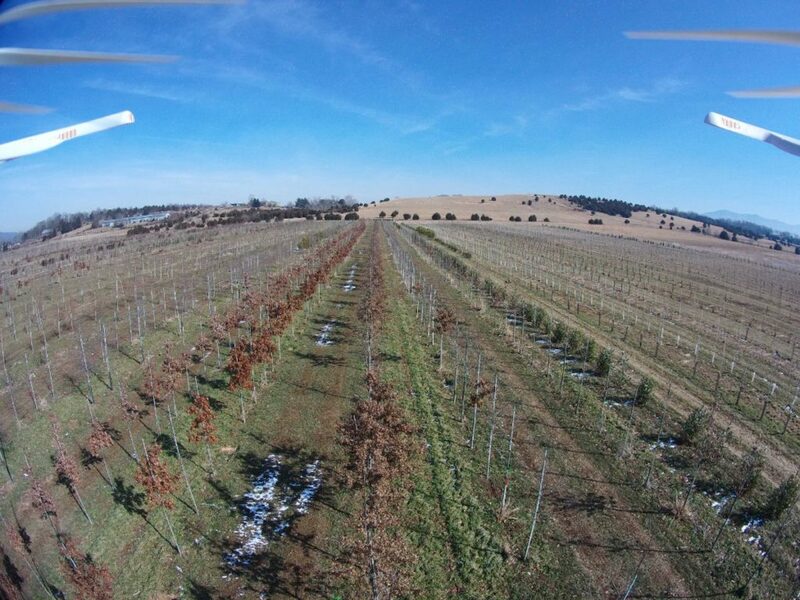 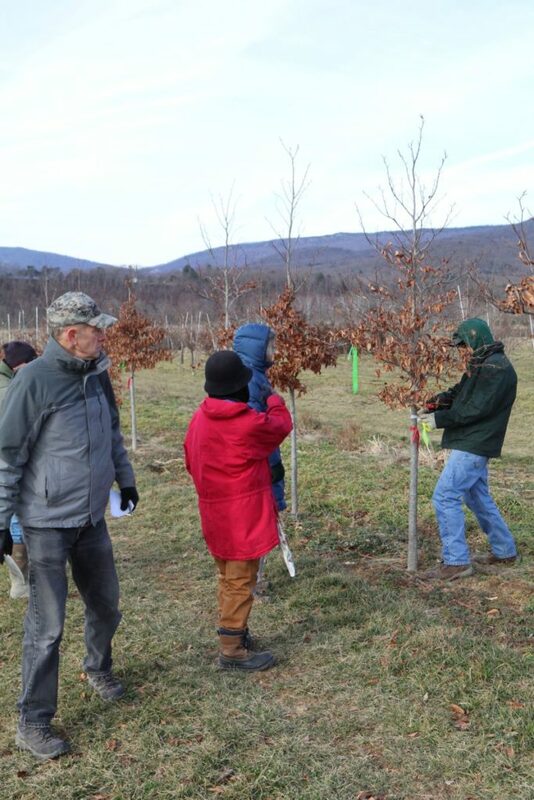 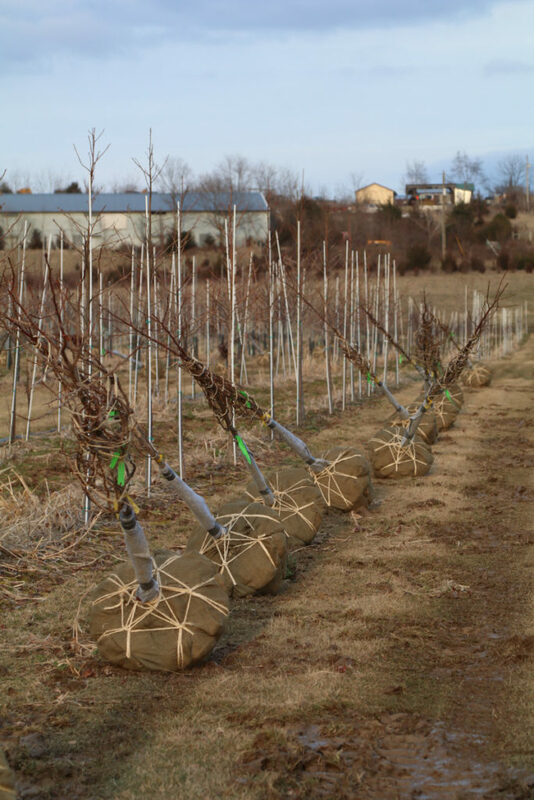 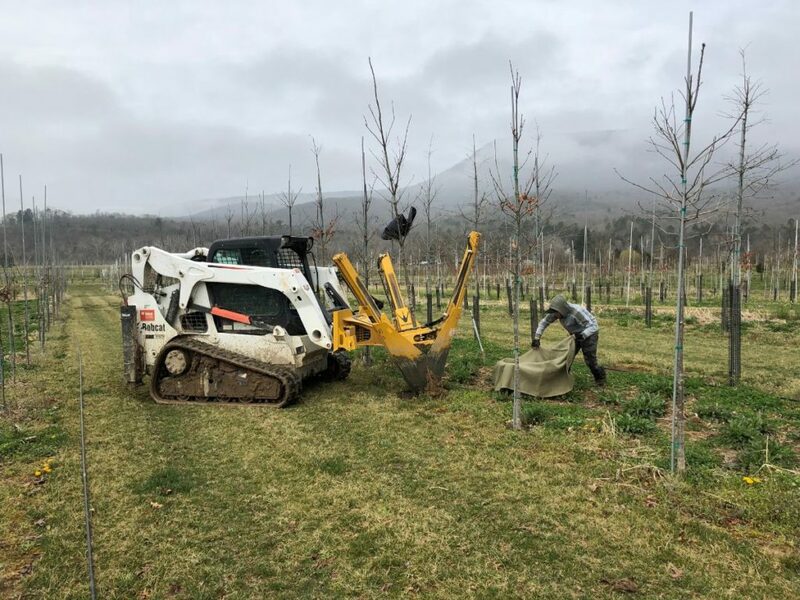 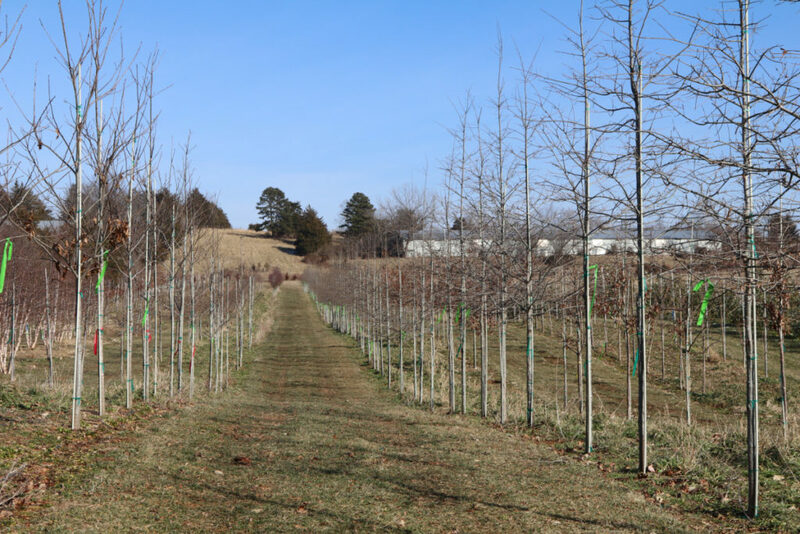 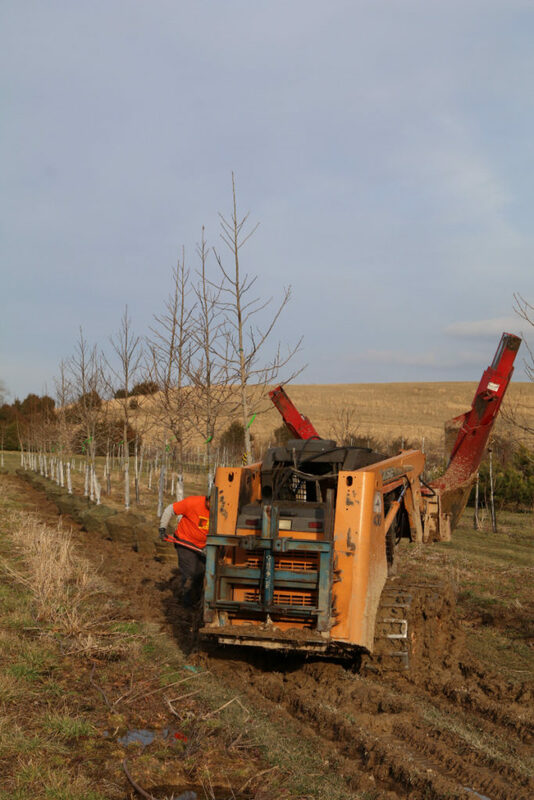 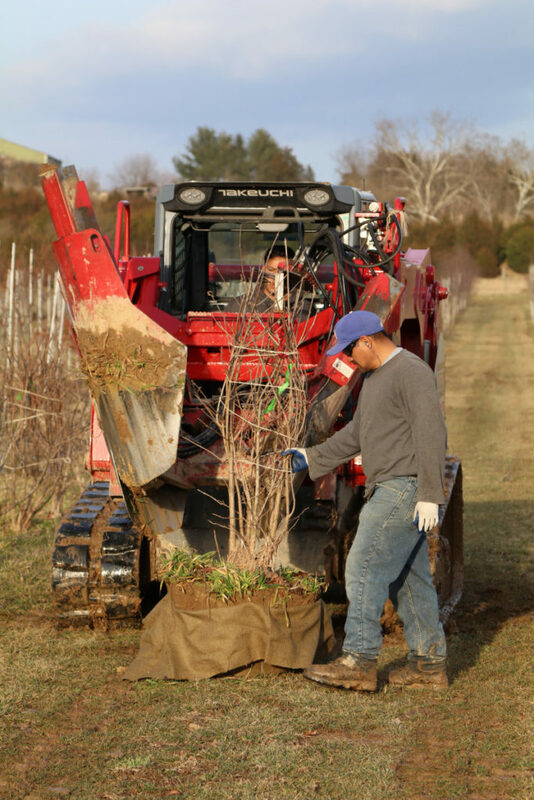 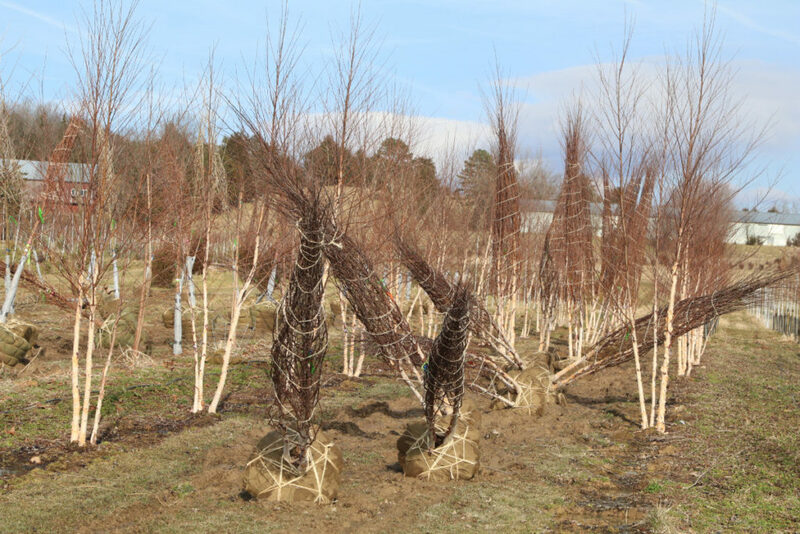 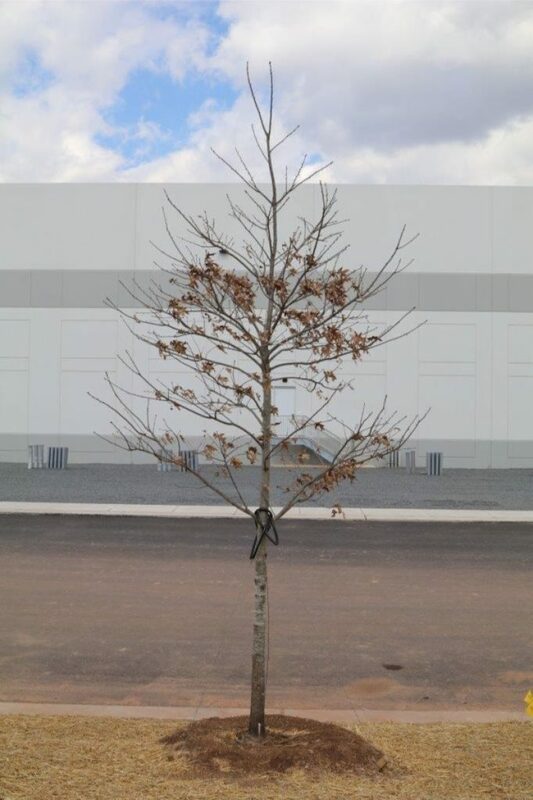 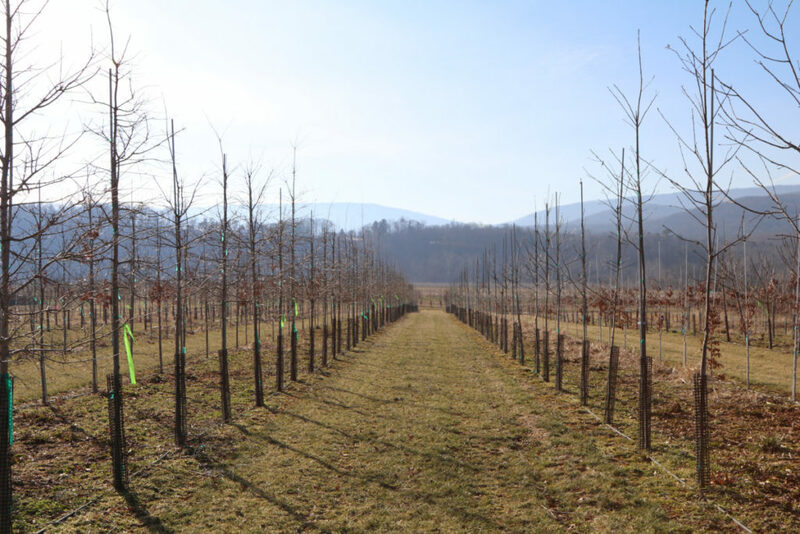 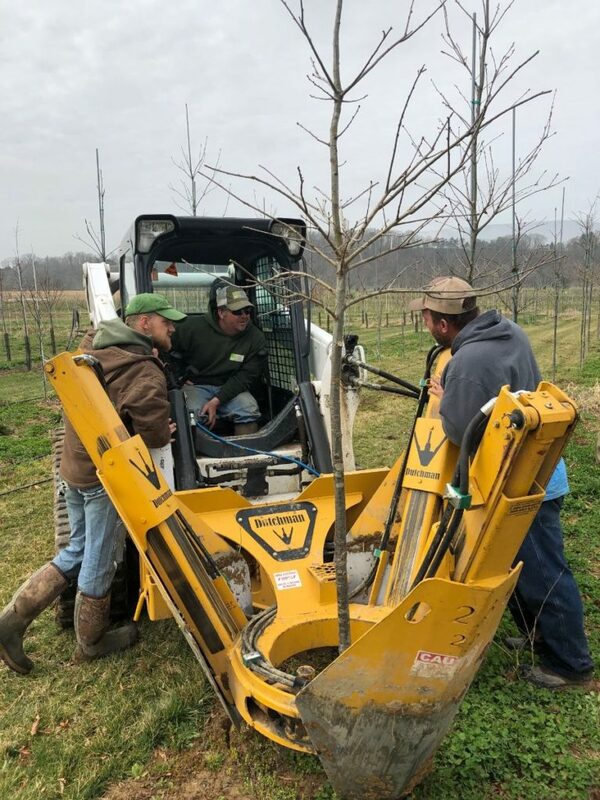 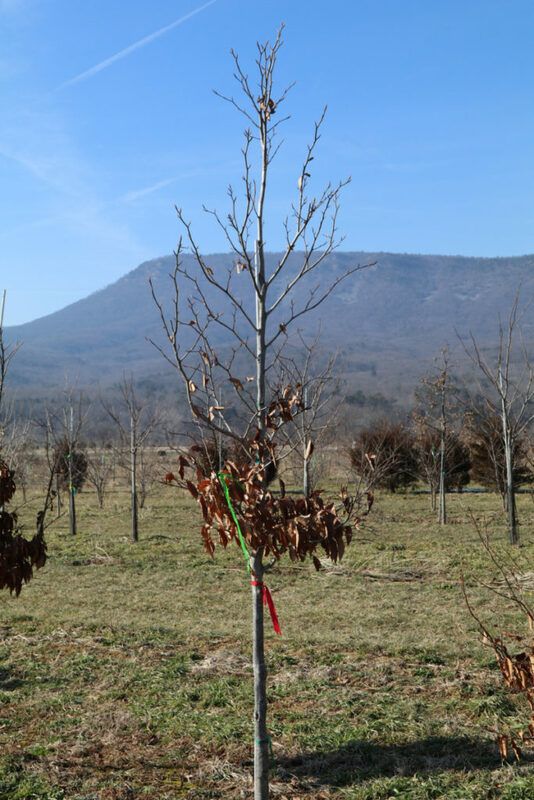 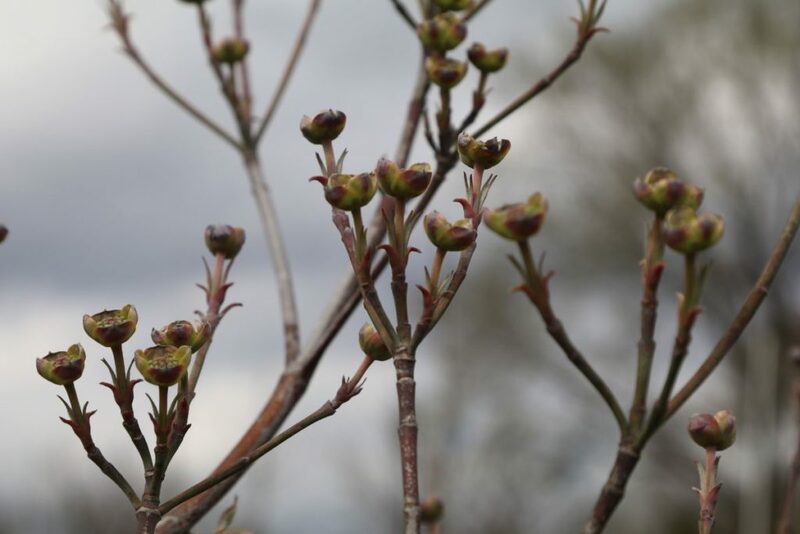 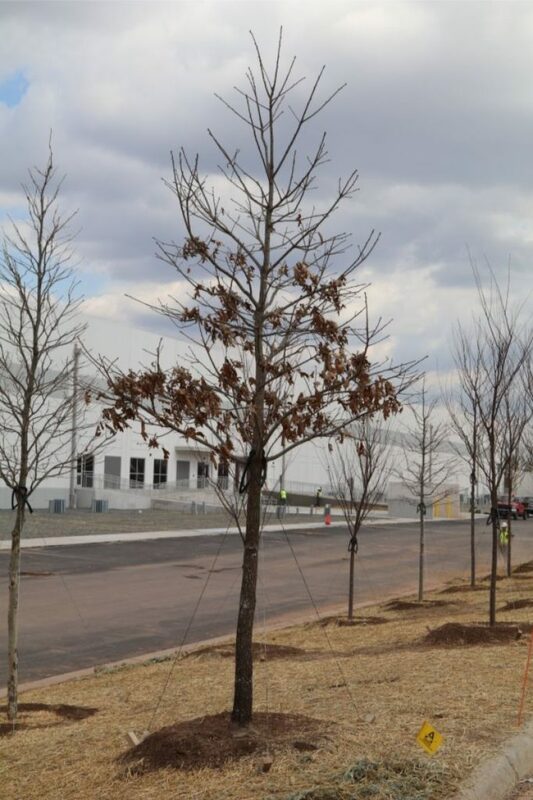 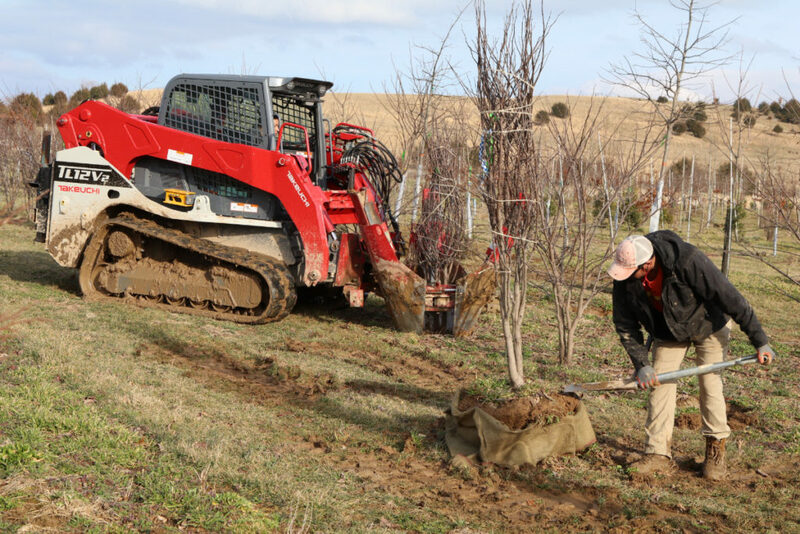 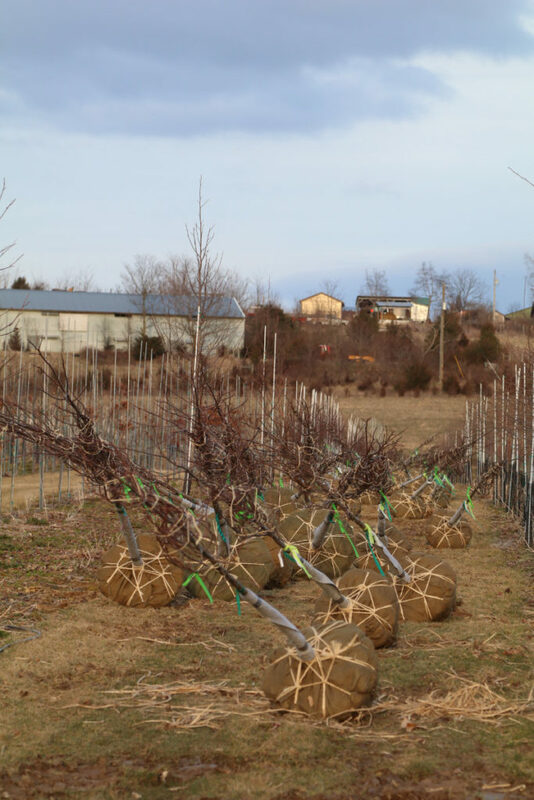 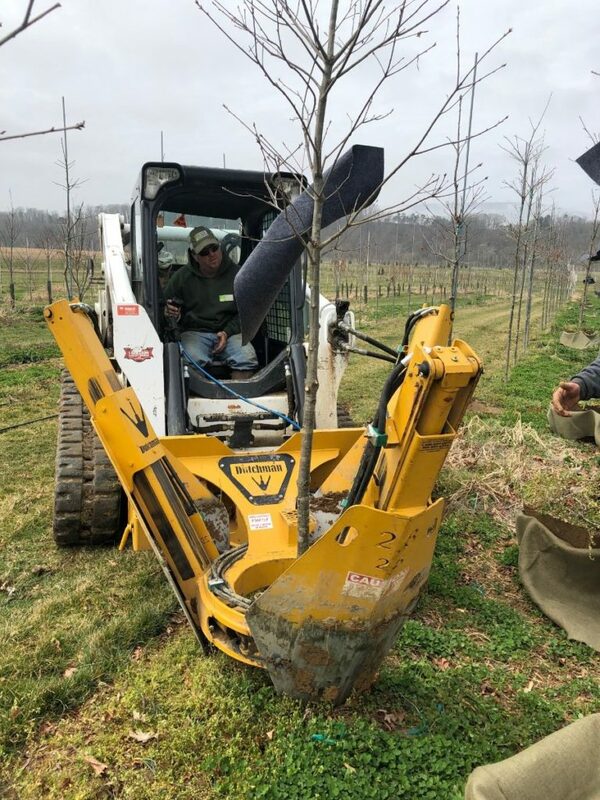 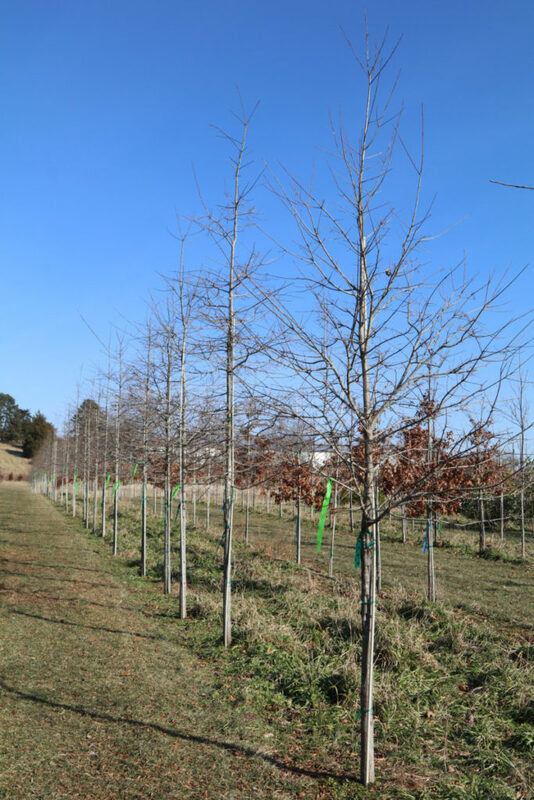 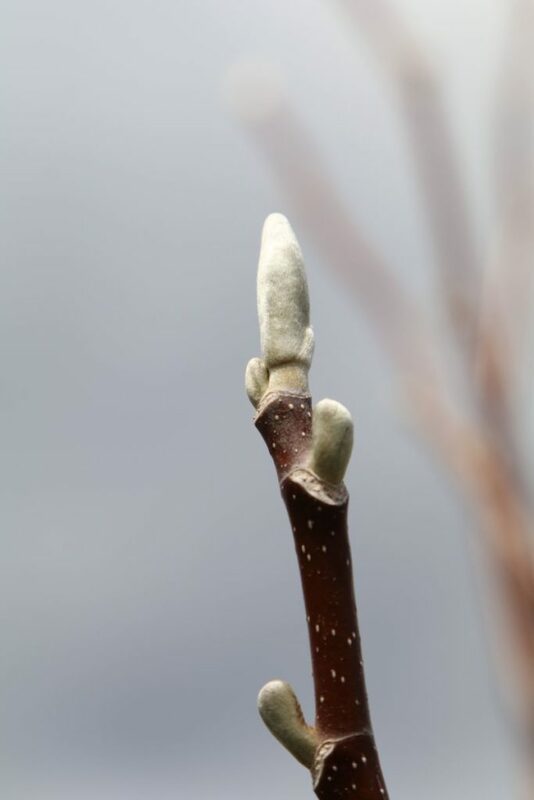 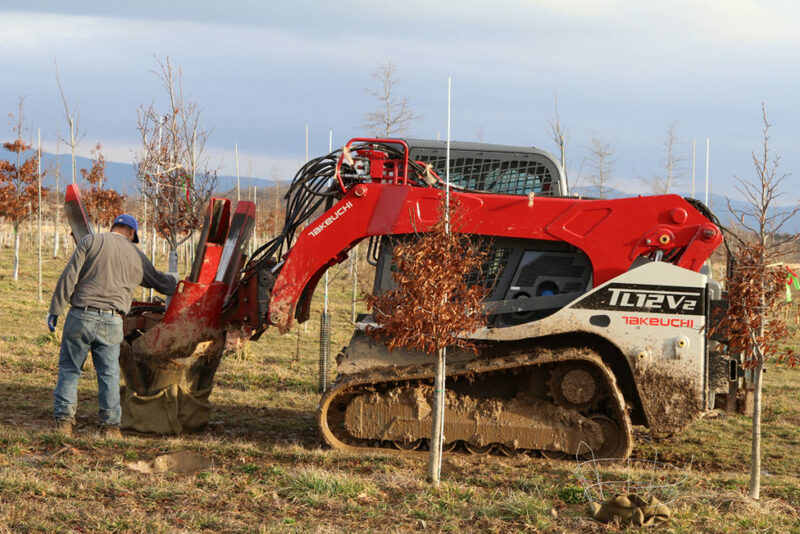 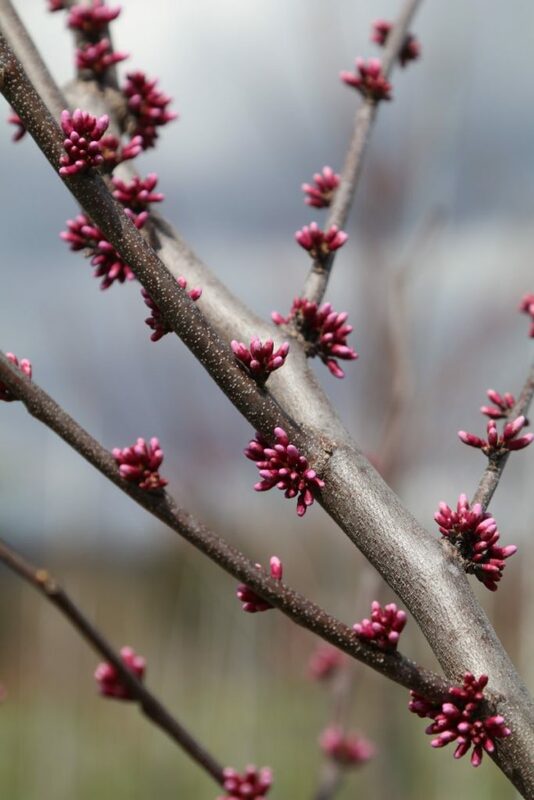 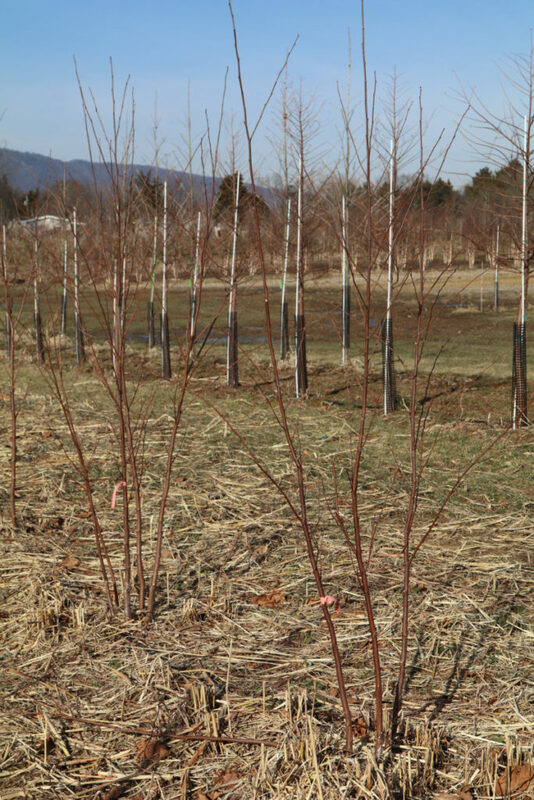 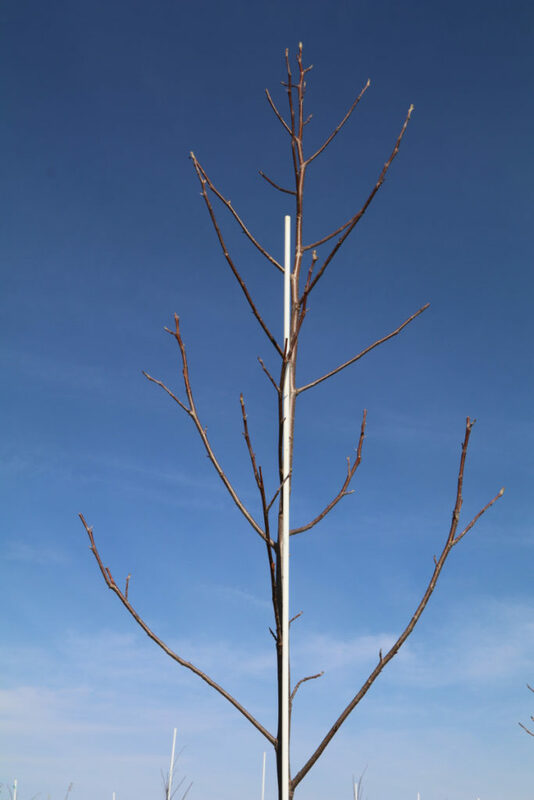 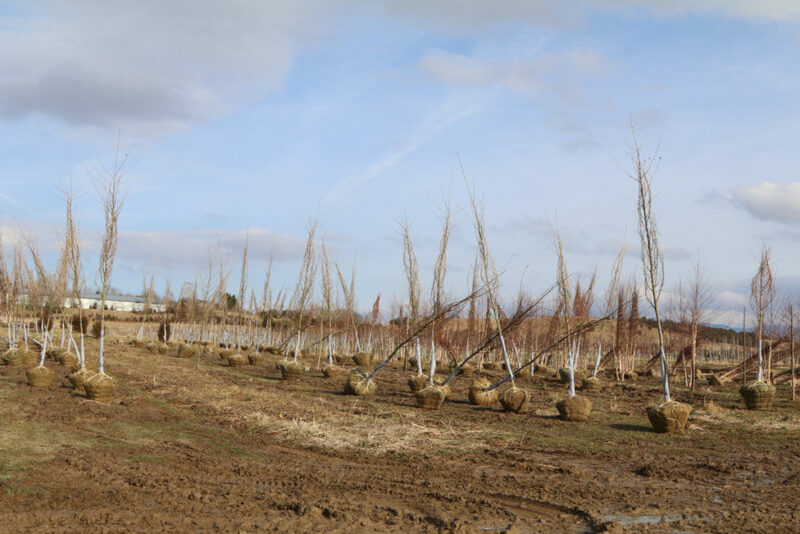 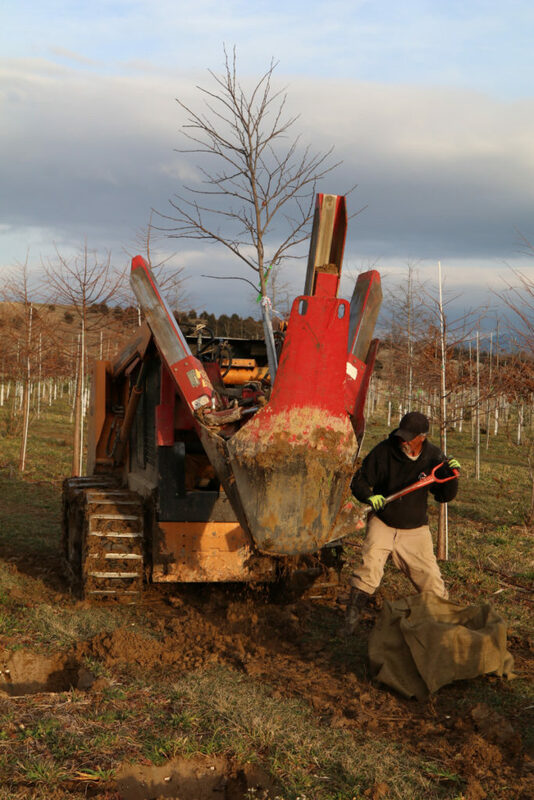 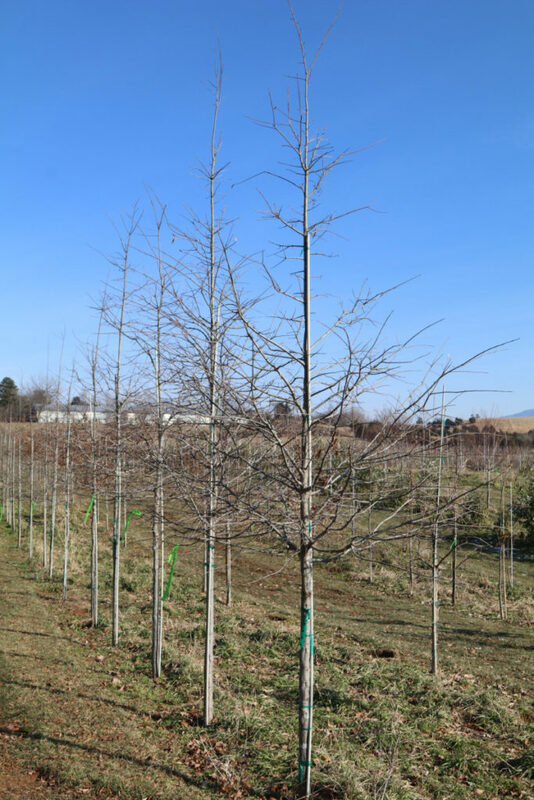 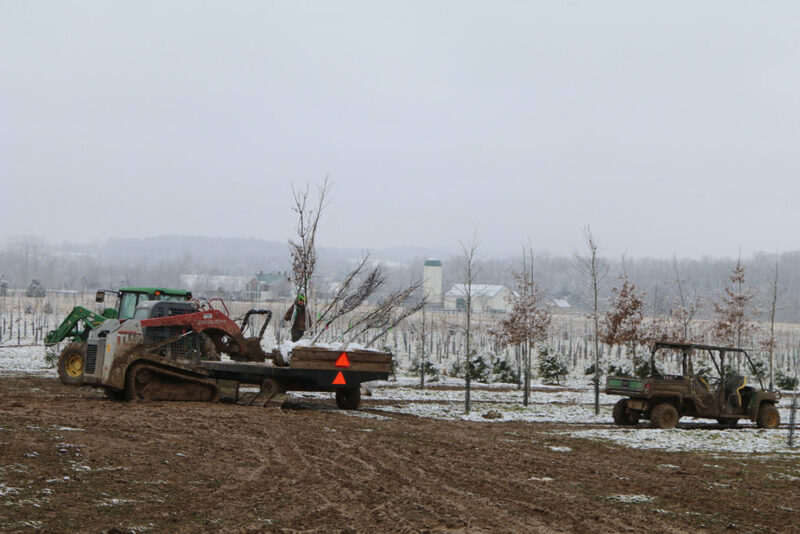 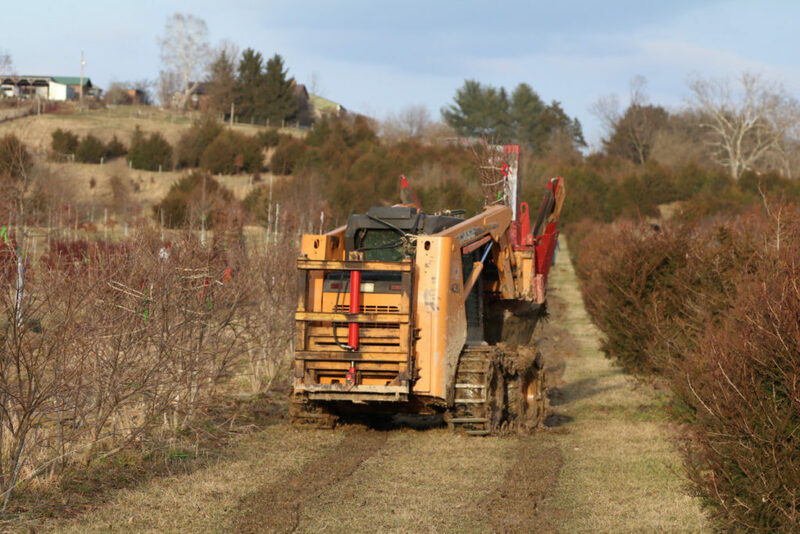 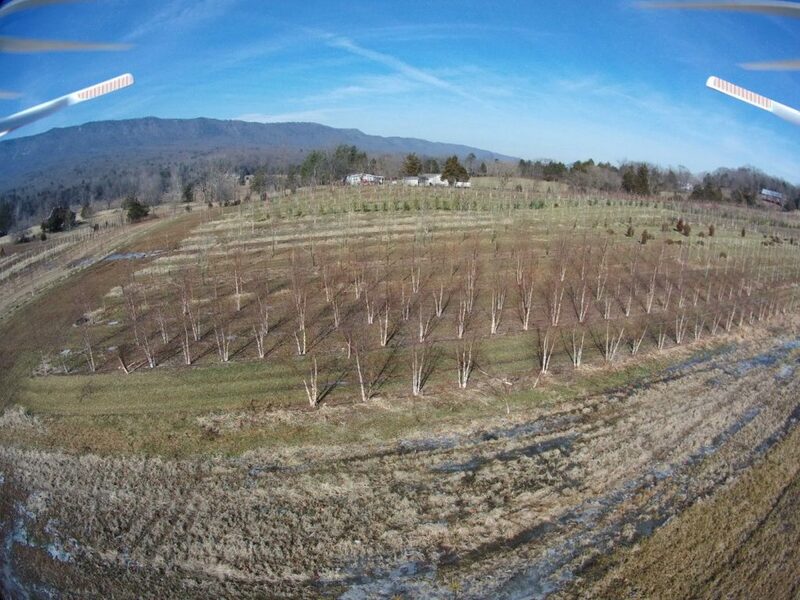 All sizes are part of our regular and rigorous pruning program, so the trees you receive are landscape ready and are sure to make an impression on your next project. 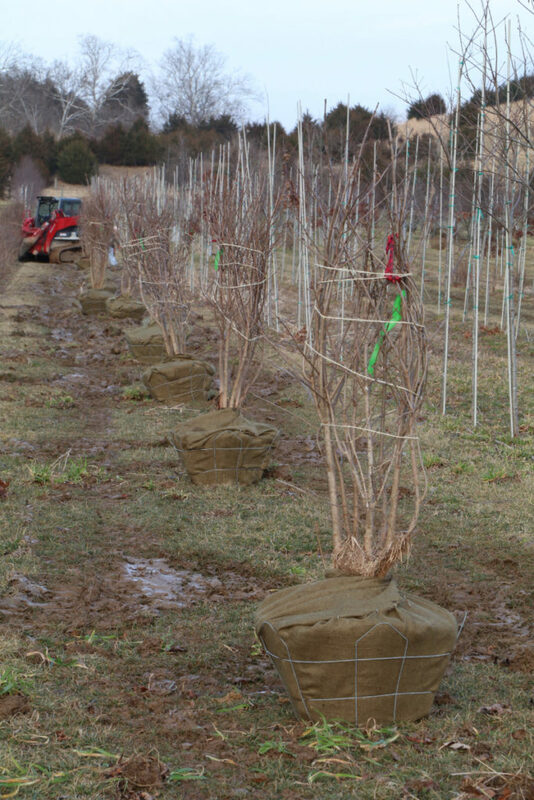 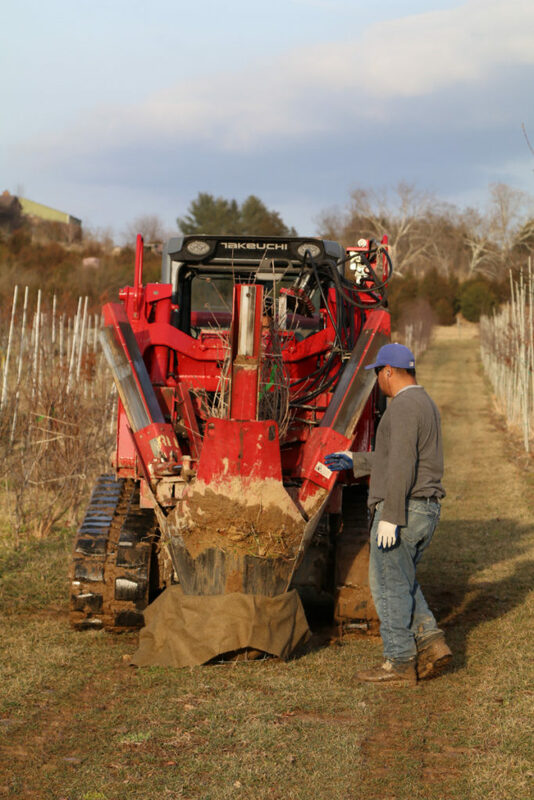 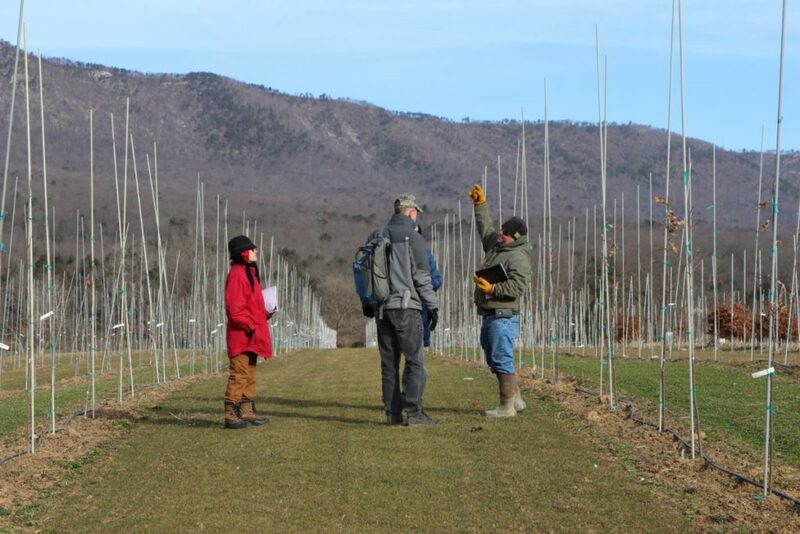 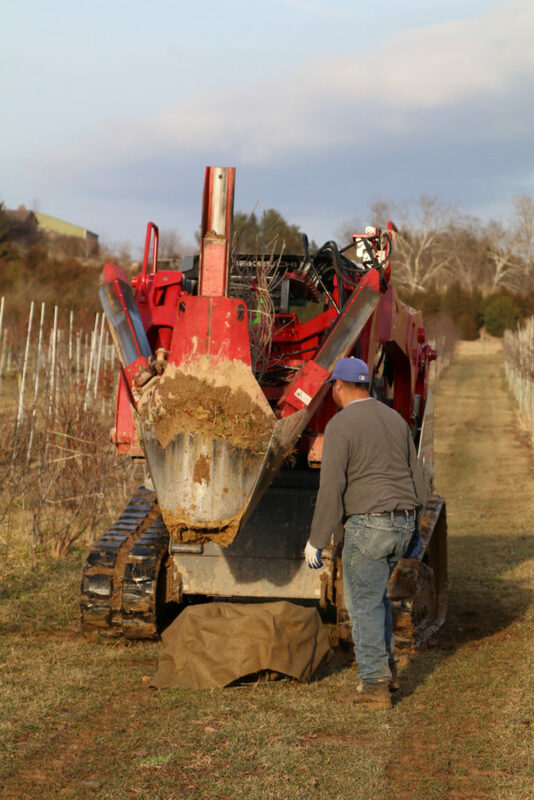 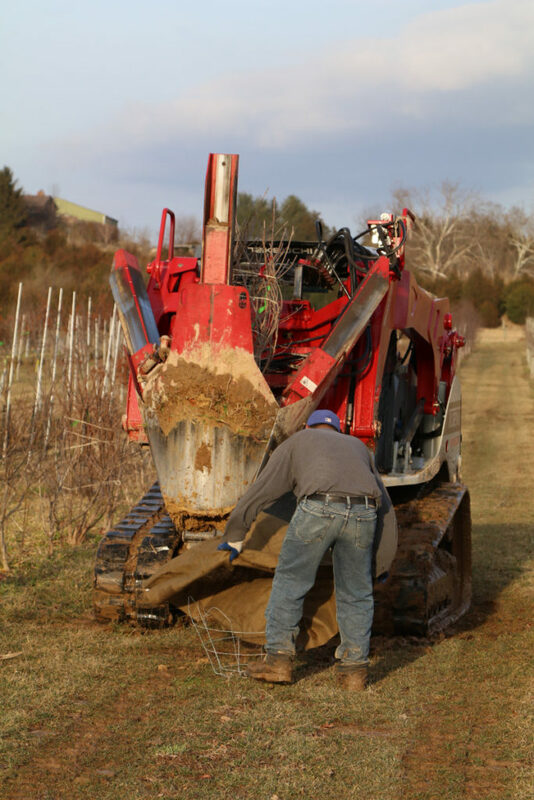 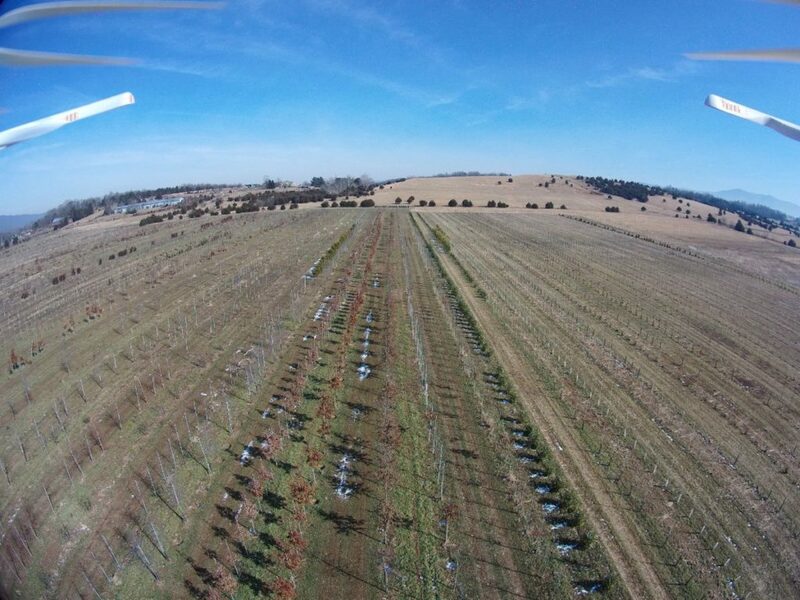 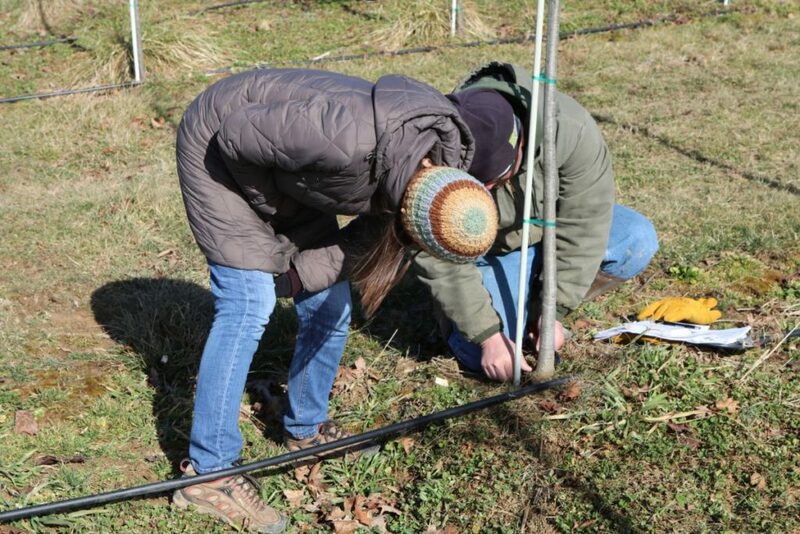 We’re well underway in our winter pruning. 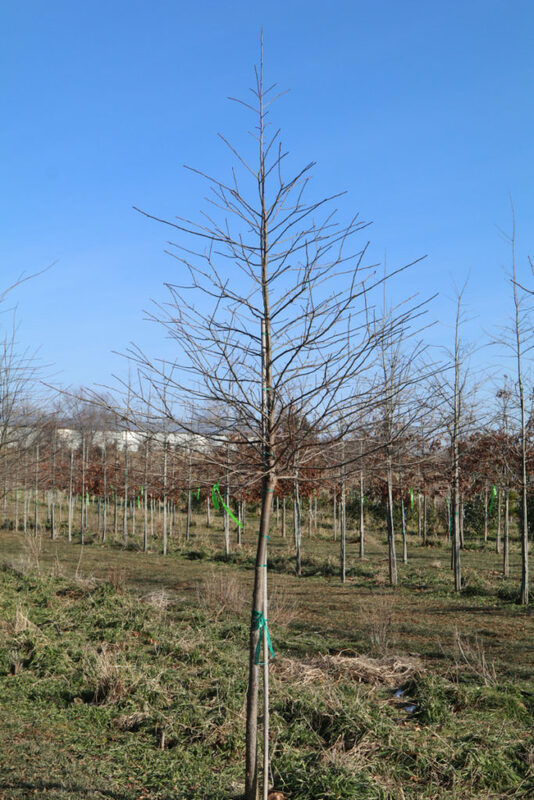 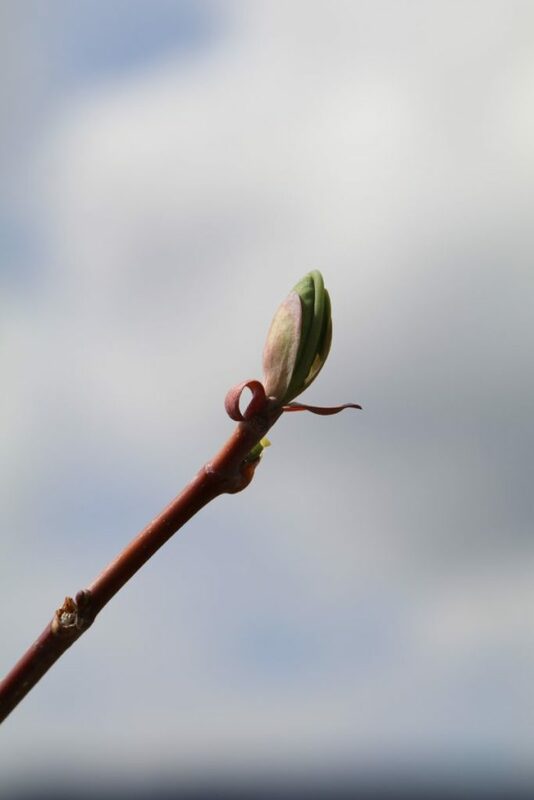 At WHN, each and every plant is pruned every winter when branches are bare to ensure great branching and structure in everything you receive. 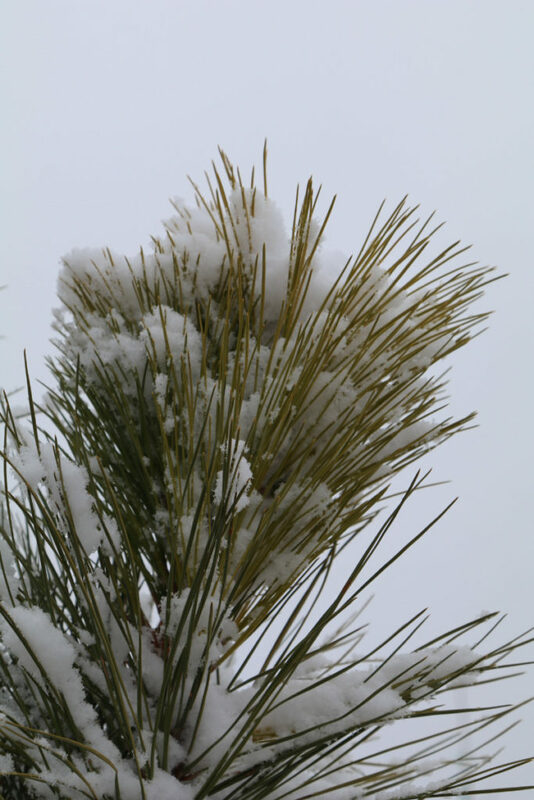 More pictures to come! 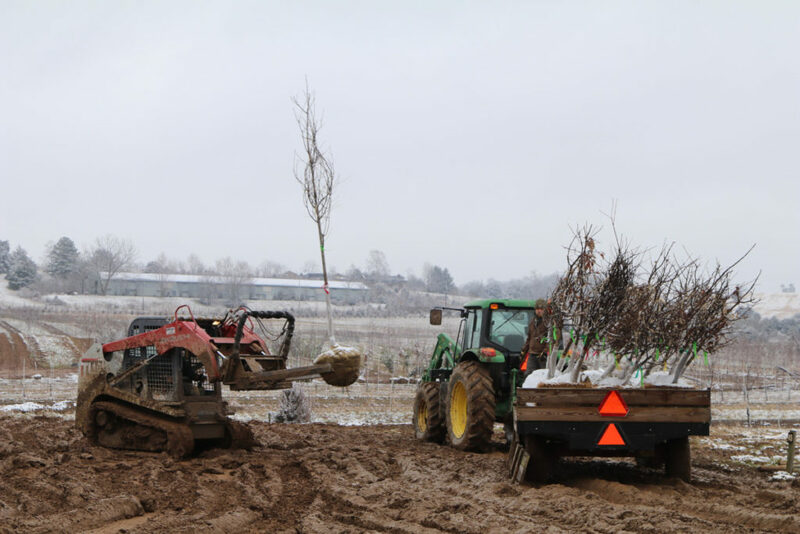 WHN celebrated the end of a wet, but successful year with our partners from Shen-Paco on Thursday December 13th. 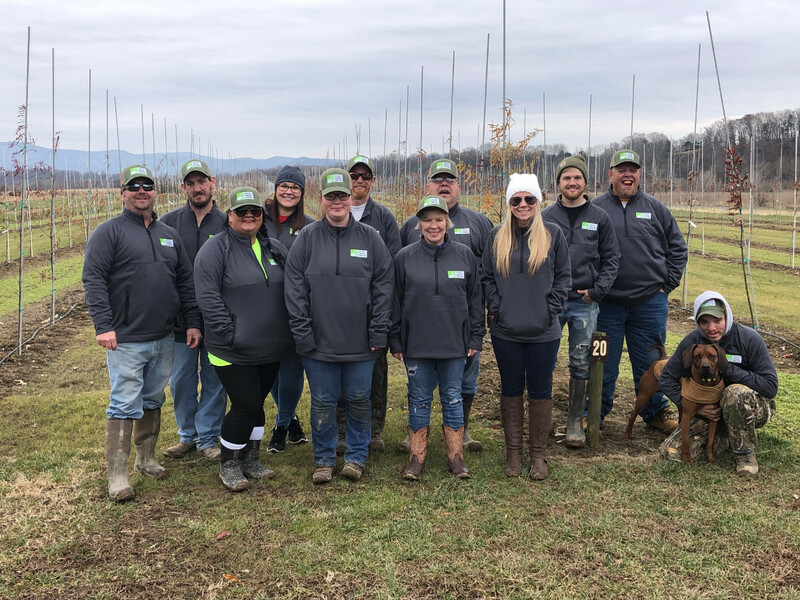 Eric and Cody cooked lunch for everyone and handed out new hats and pullovers for the entire team. 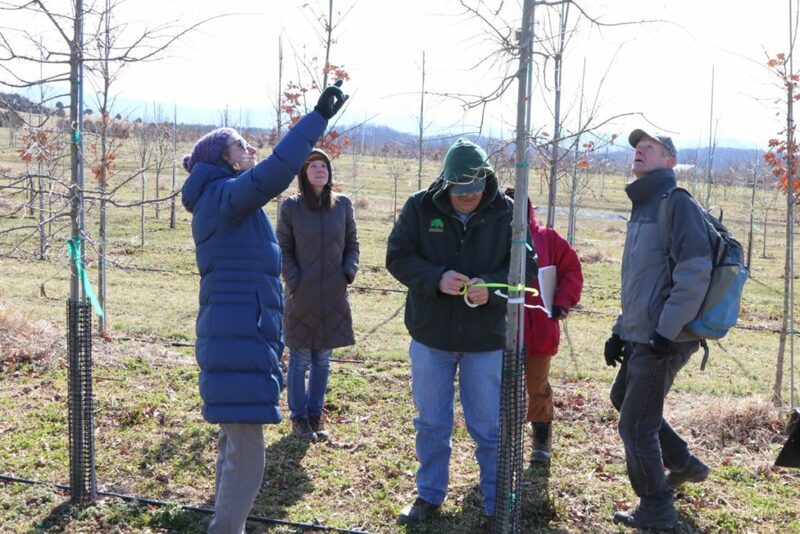 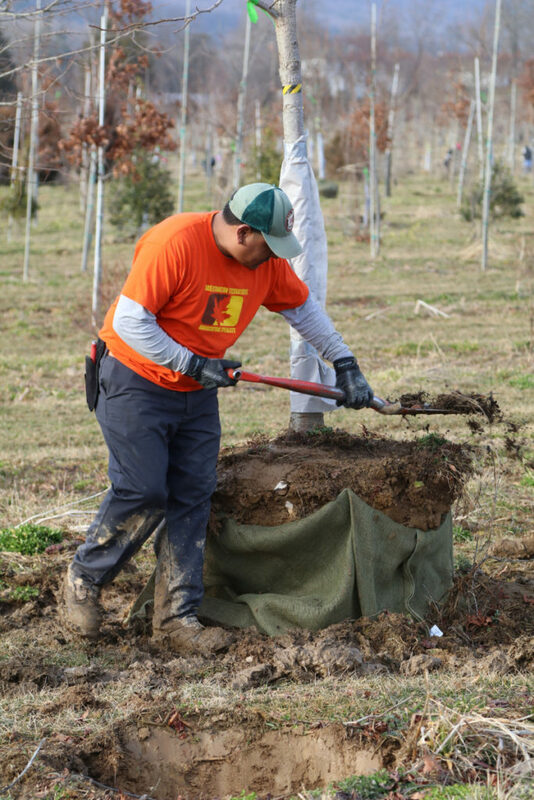 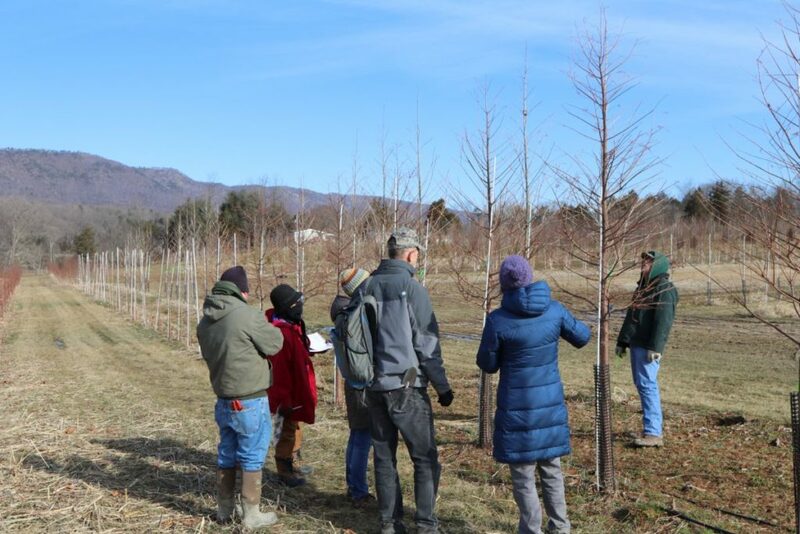 These ten hard-working individuals help us with the many hands-on tasks that are required to grow and cultivate a quality native tree. 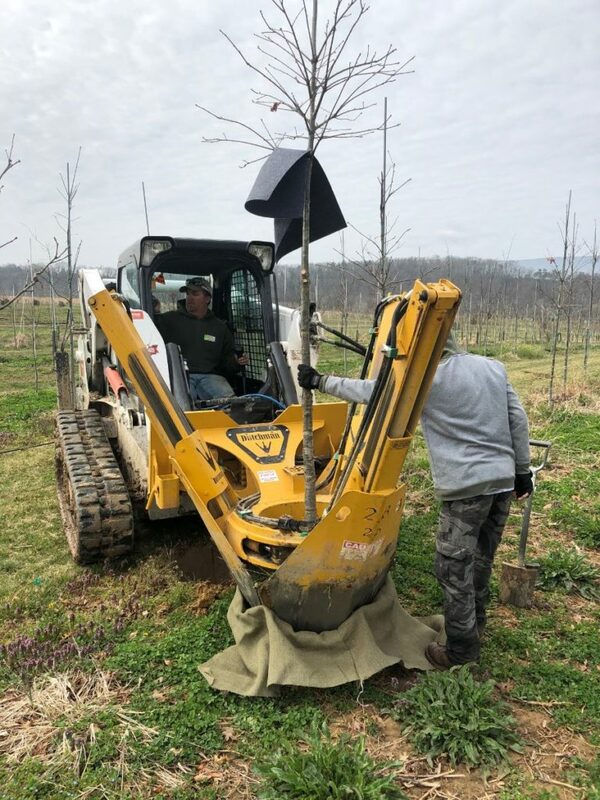 We are thankful for their help and it has been our pleasure to see their happiness and watch them grow along side our trees.